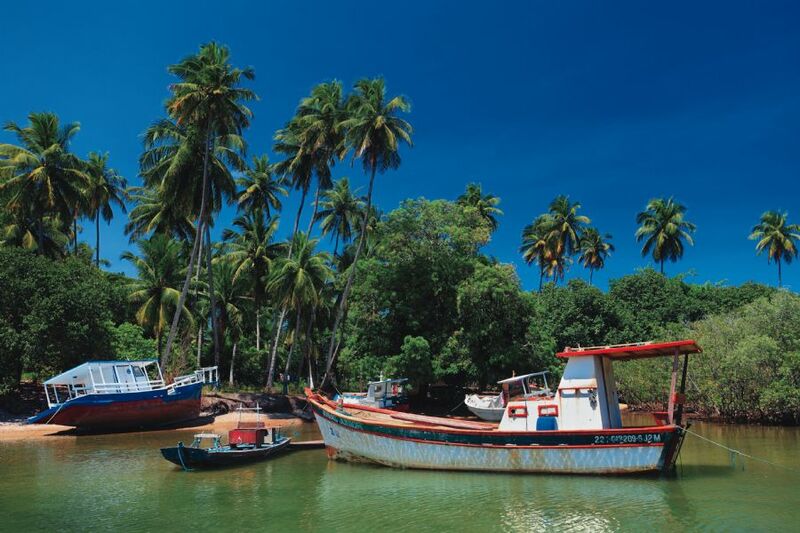 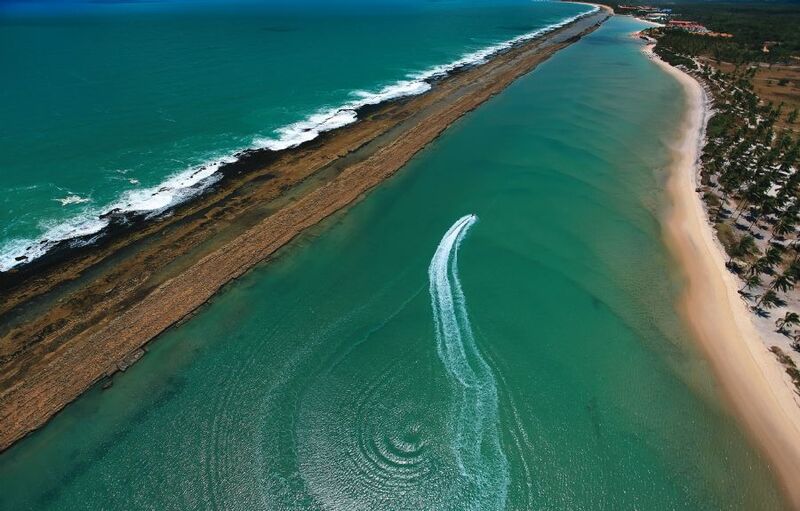 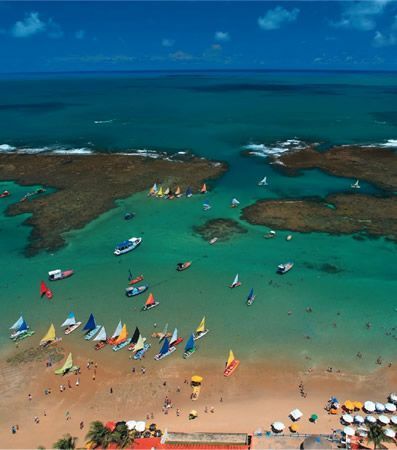 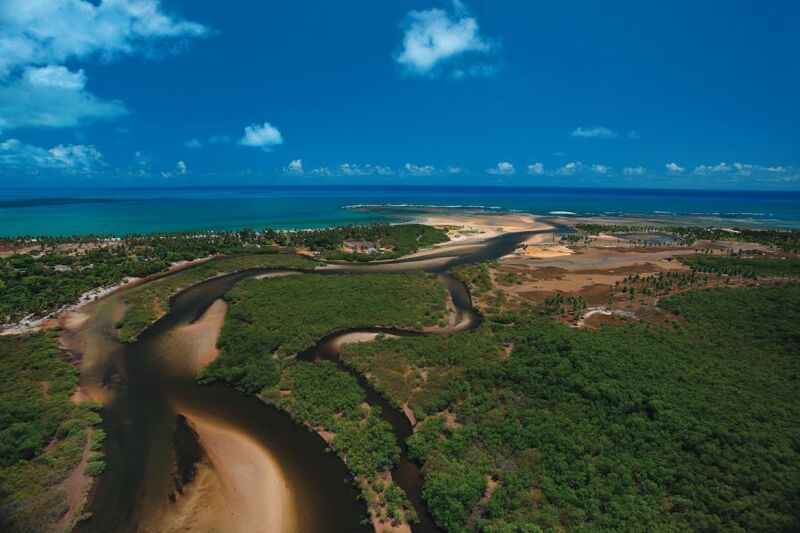 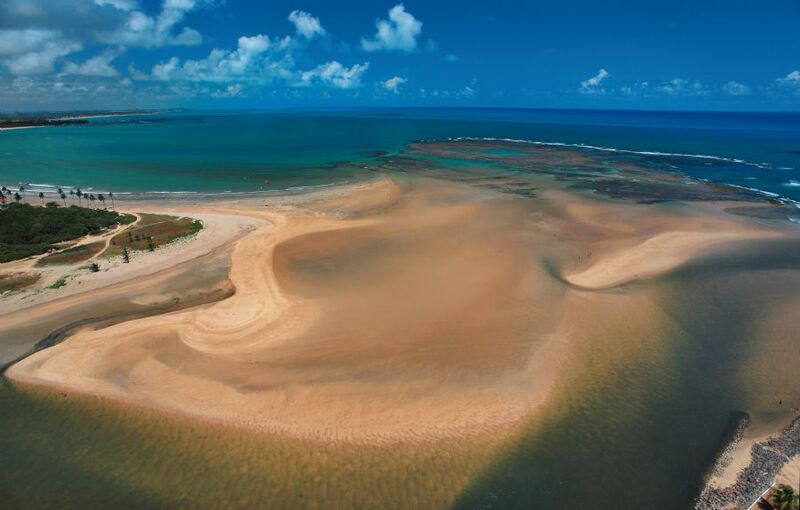 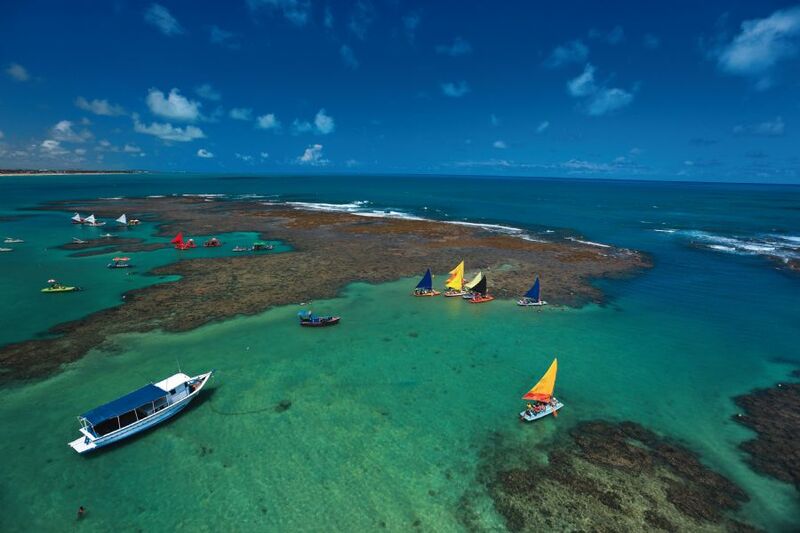 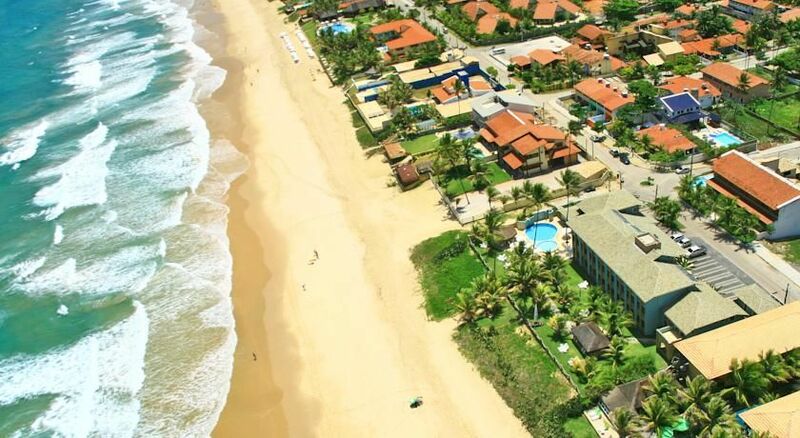 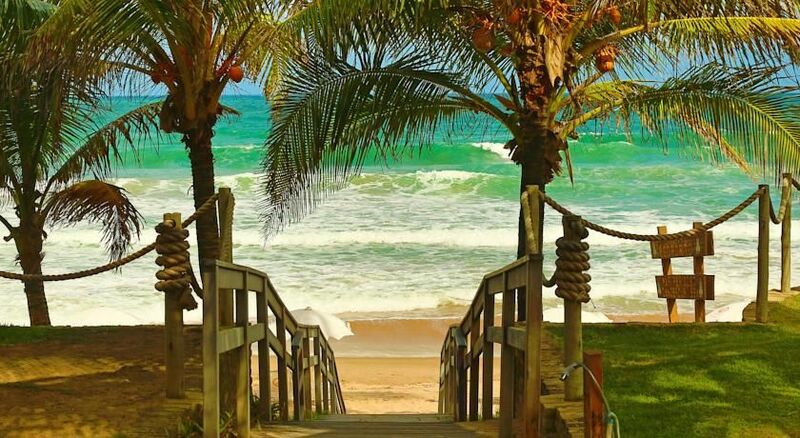 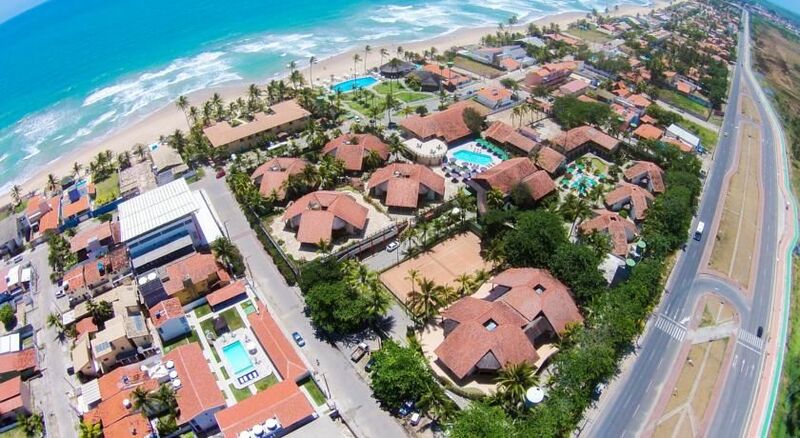 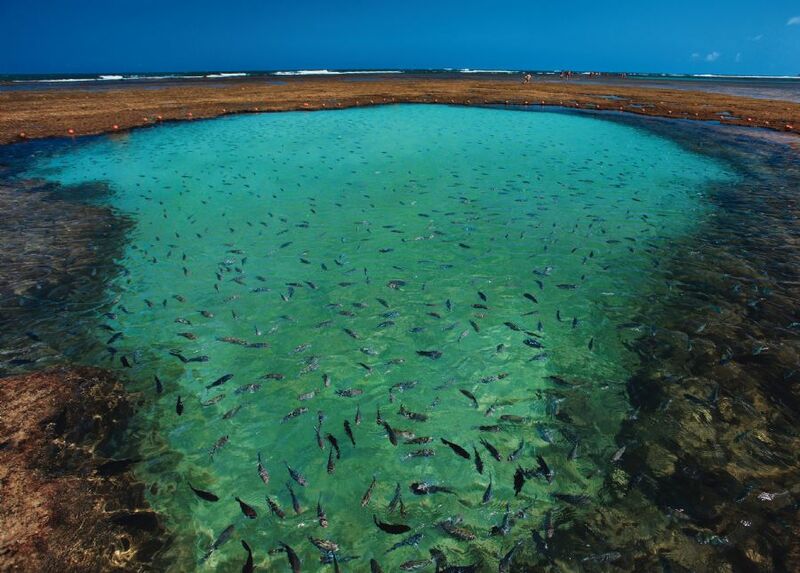 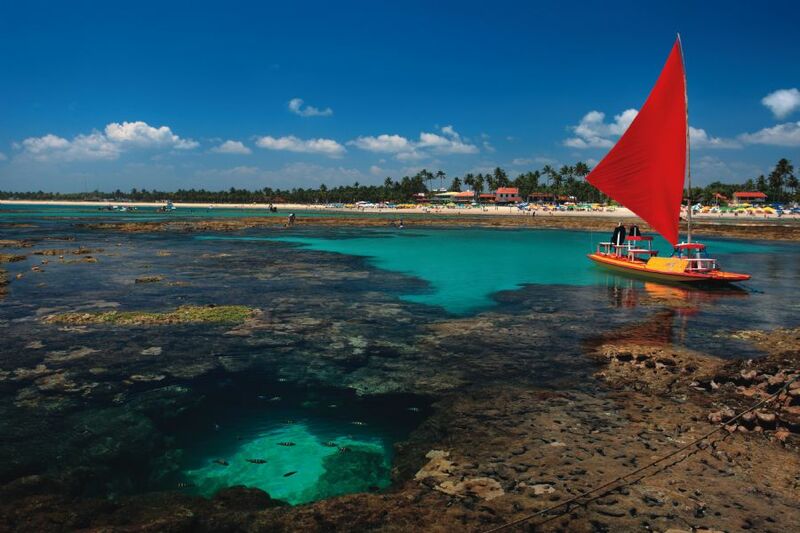 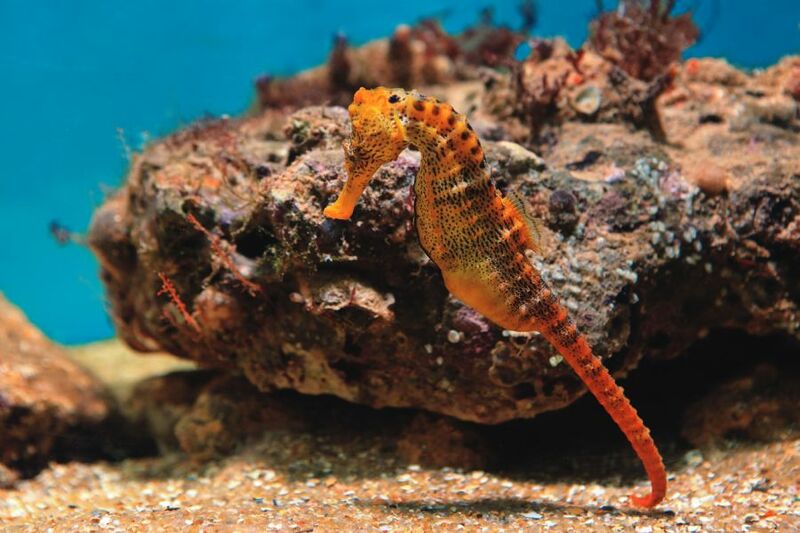 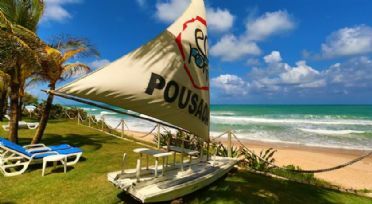 In the morning departure by air conditioned vehicle to reach Porto de Galinhas, a beautiful city overlooking the Atlantic Ocean, famous for its natural pools where you can swim among hundreds of colorful fish. 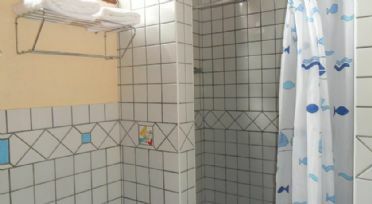 The estimated duration of the trip is about 1:00 hours. 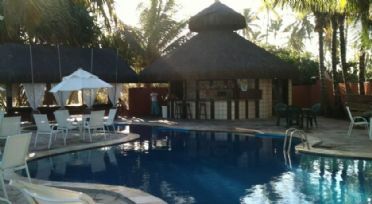 Arrival in Porto de Galinhas and accommodation at the pousada. 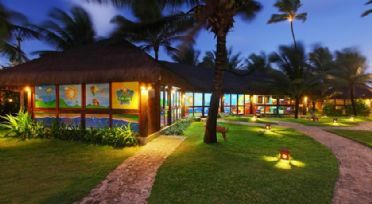 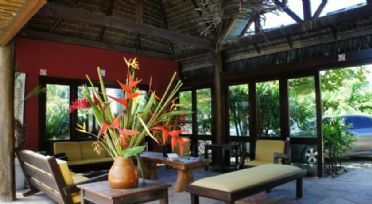 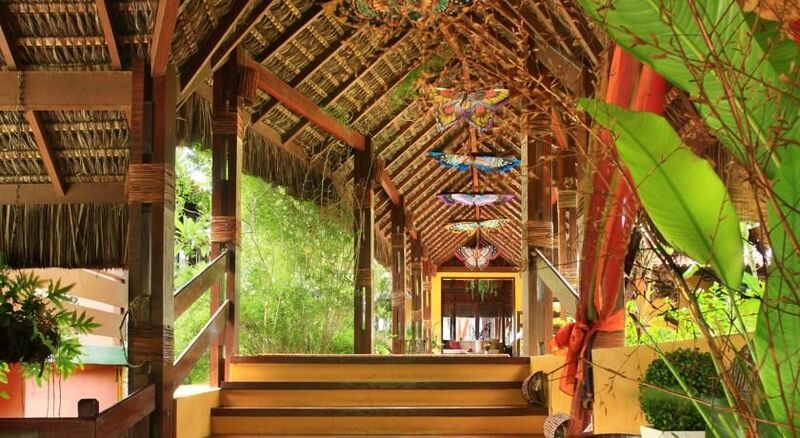 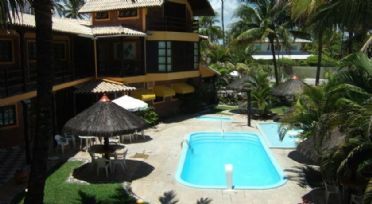 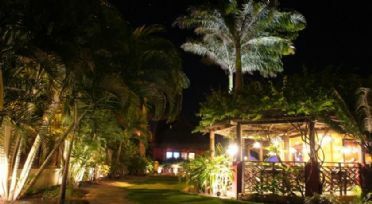 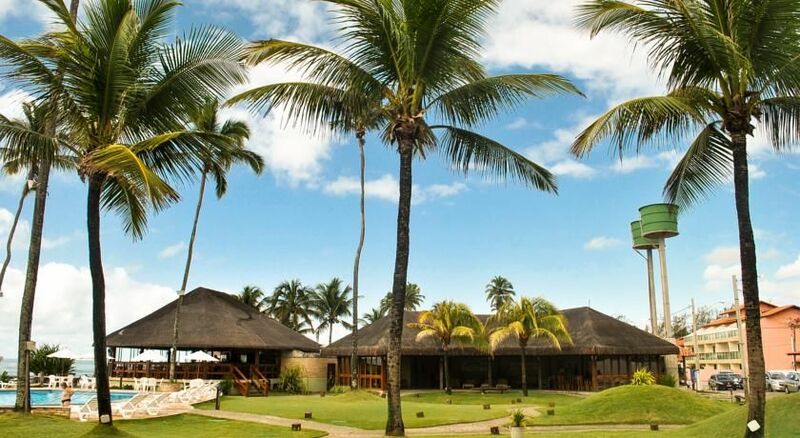 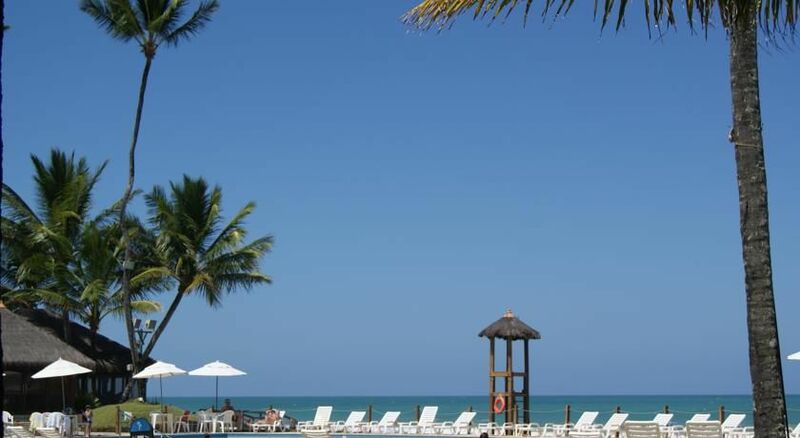 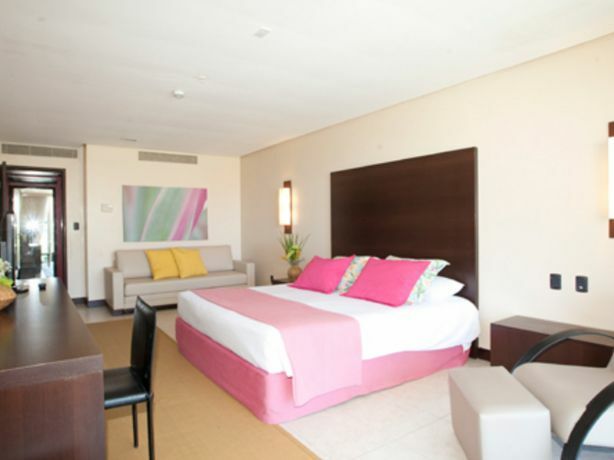 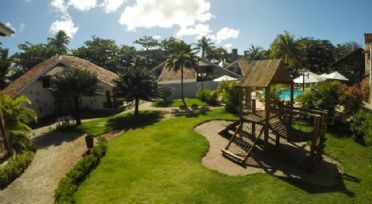 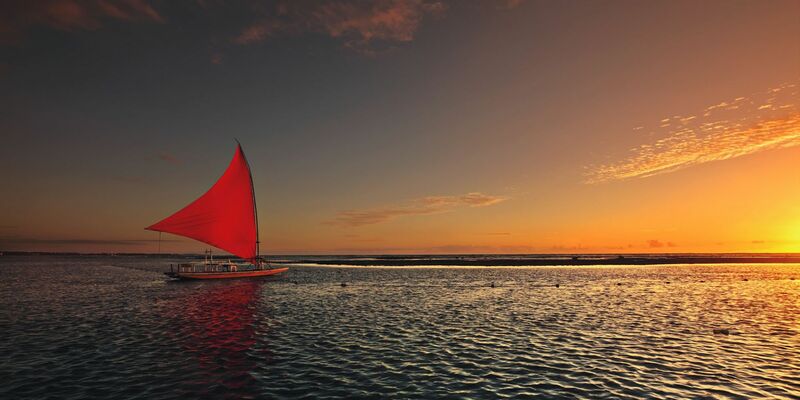 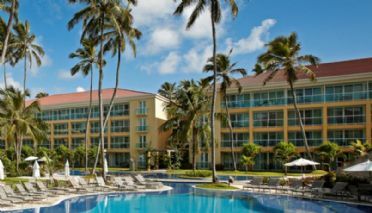 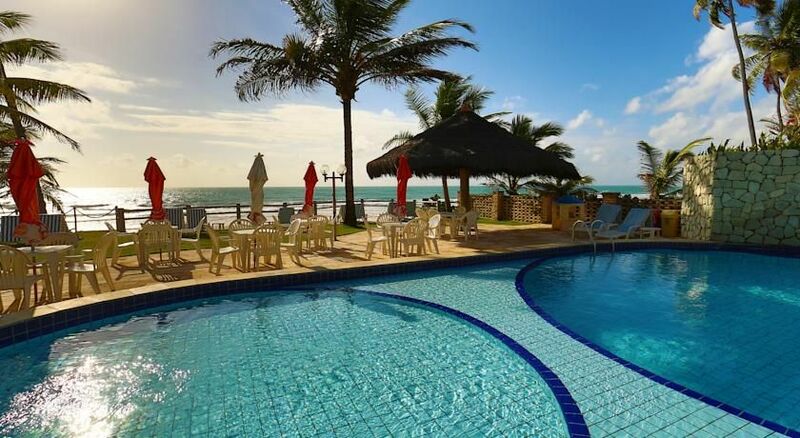 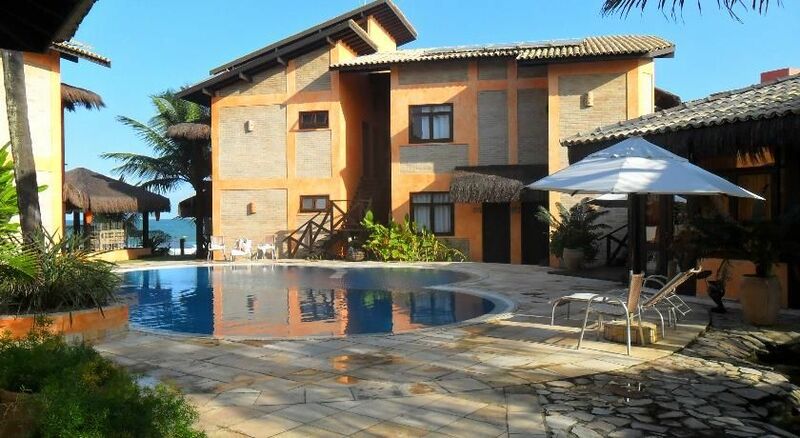 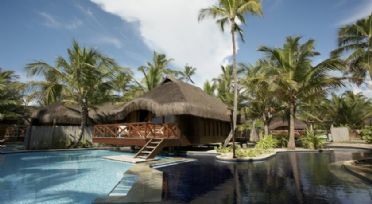 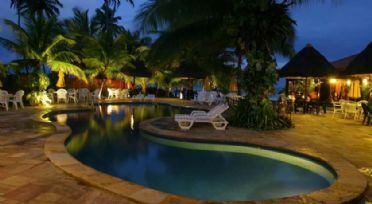 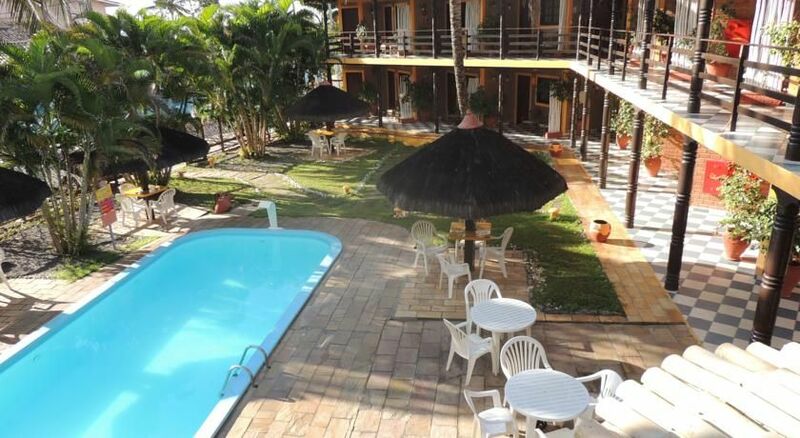 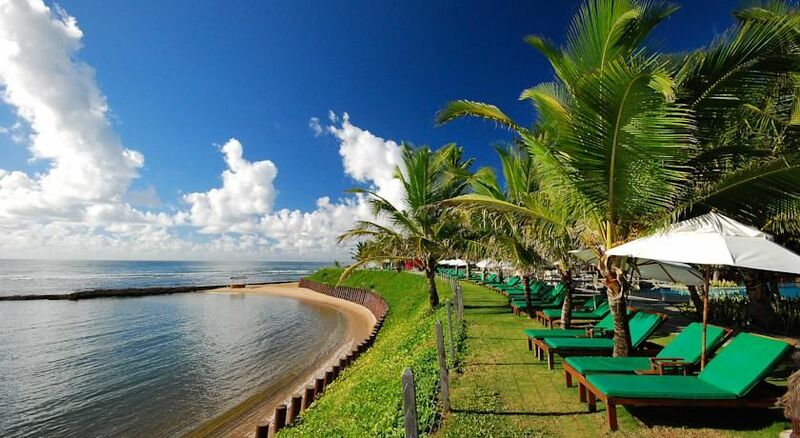 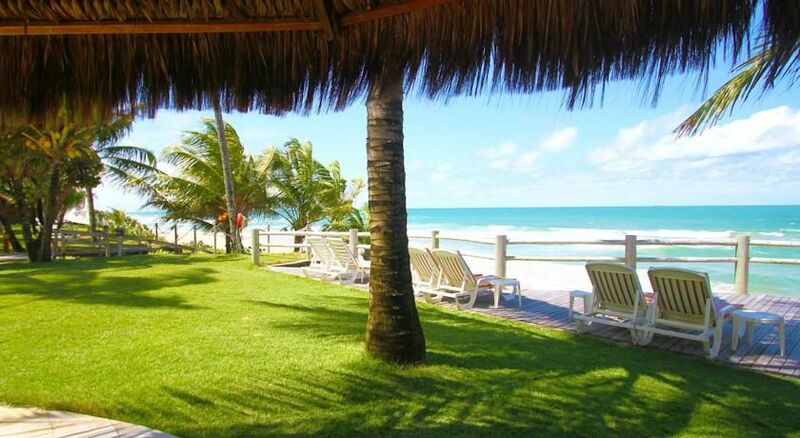 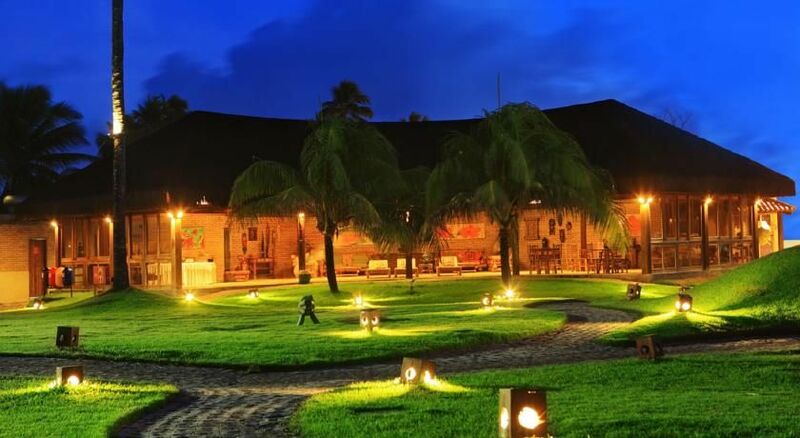 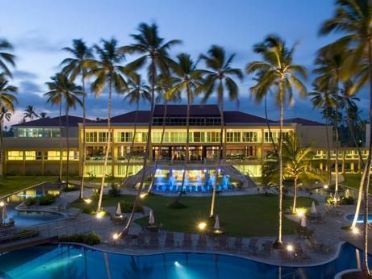 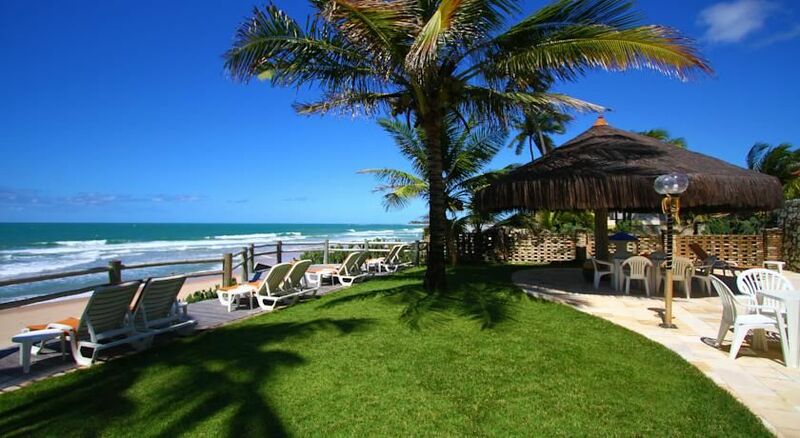 Overnight stay with breakfast in Porto de Galinhas. 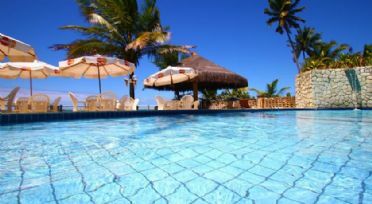 Day at leisure in Porto de Galinhas. 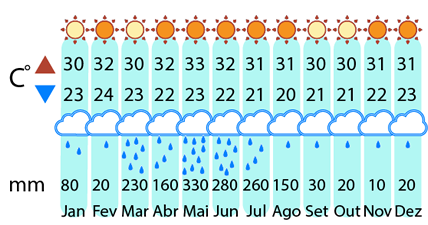 Departure by air conditioned vehicle to reach the city of Recife, travel time 1 hour. 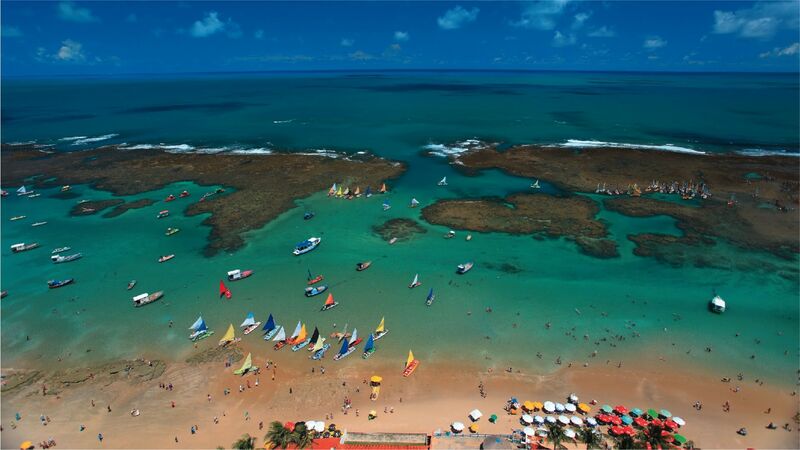 Arrival at the city of Recife. End of the services. 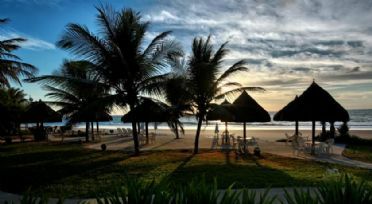 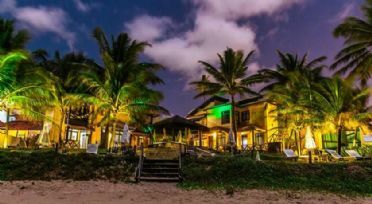 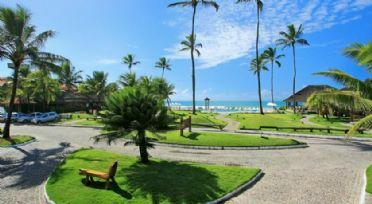 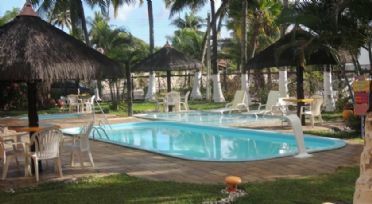 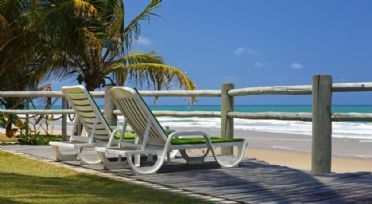 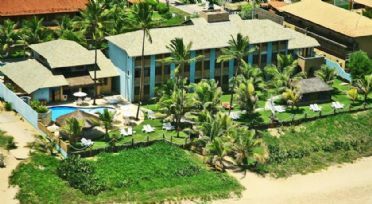 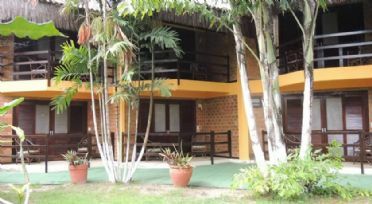 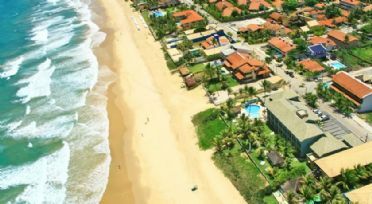 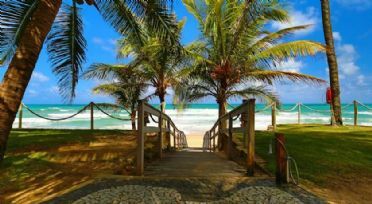 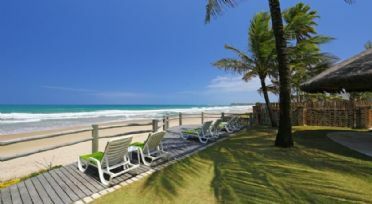 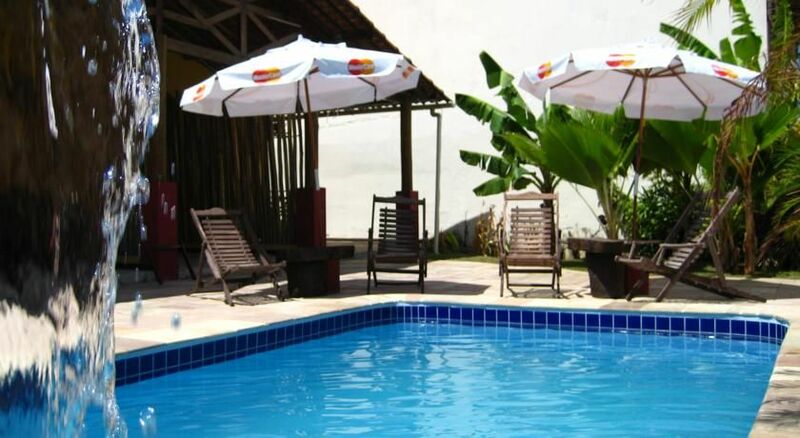 The Aconchego Hotel is situated in a quiet area of Porto de Galinhas, just 50 metres from Cupe Beach and 4 km from the town center. 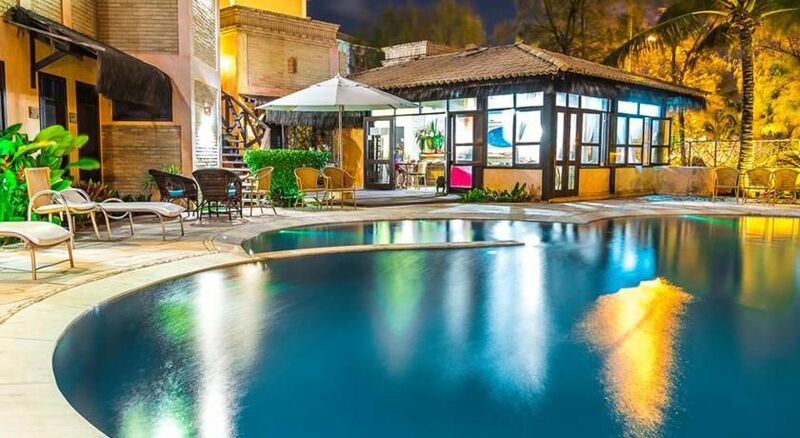 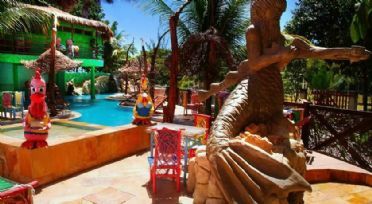 Aconchego is set in extensive tropical gardens and has a pool and poolside bar. 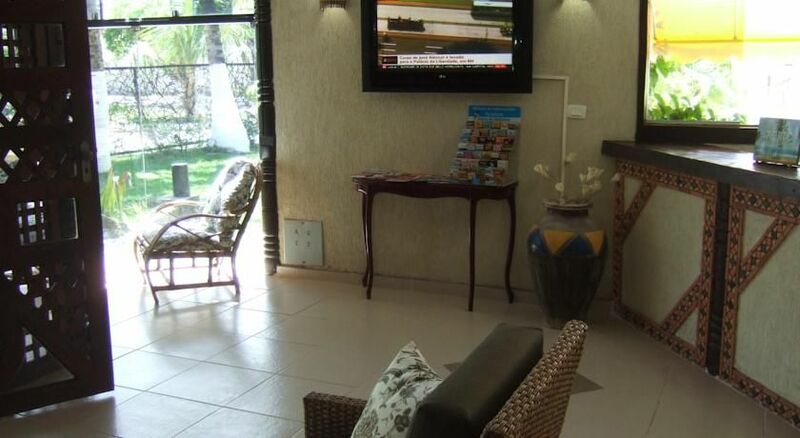 All rooms are equipped with air conditioning, minibar and a TV. 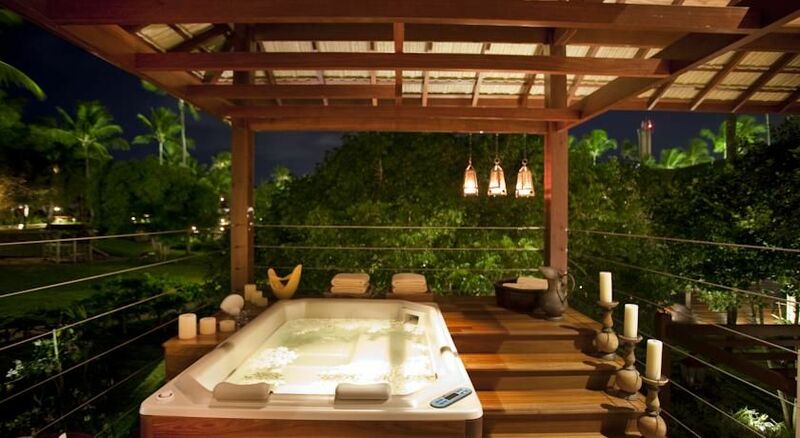 Some include a balcony with a hammock. 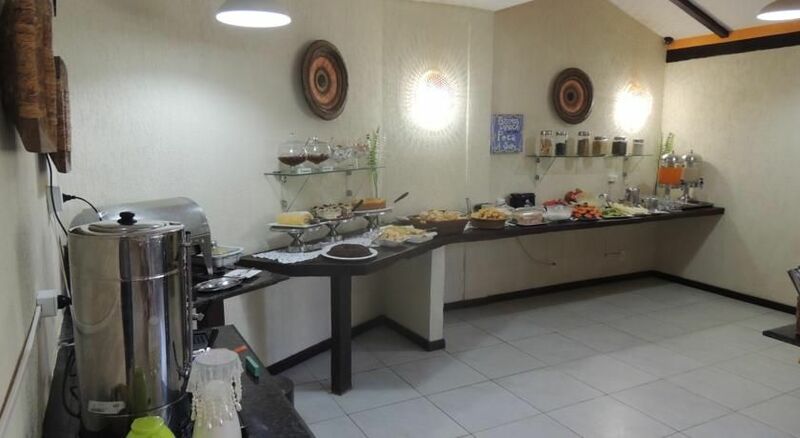 A buffet breakfast is served in the eating area each morning. 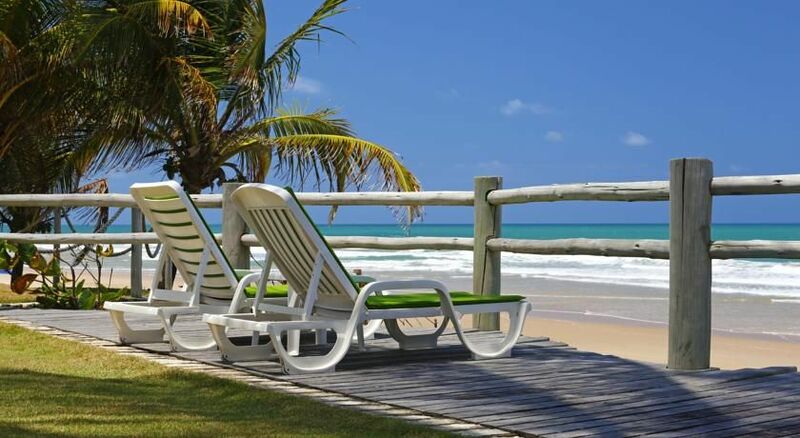 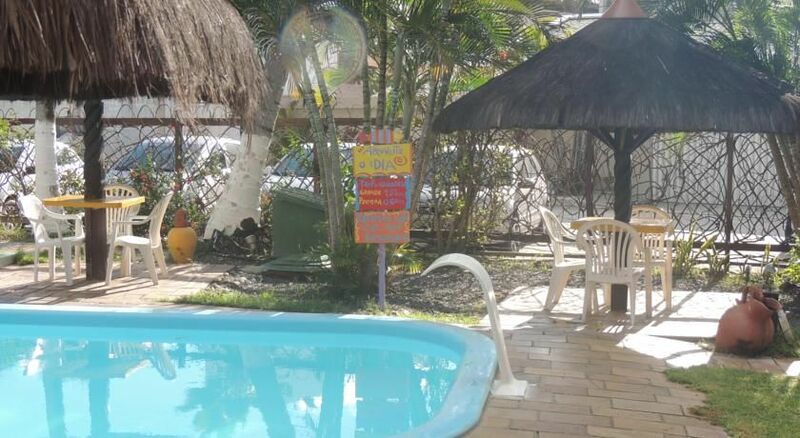 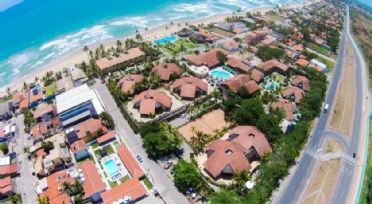 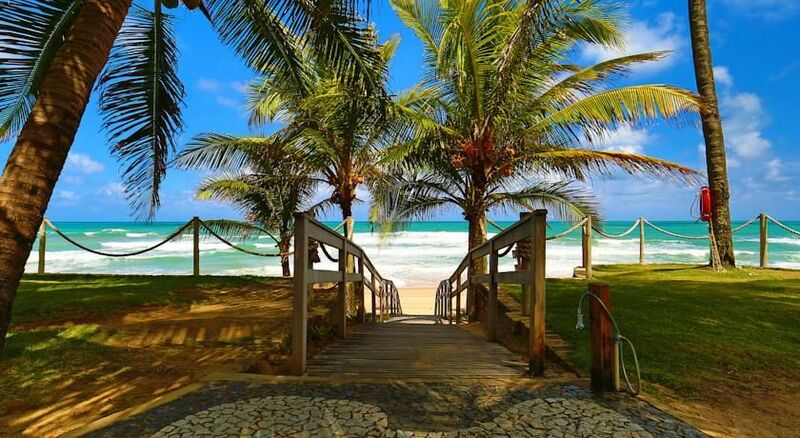 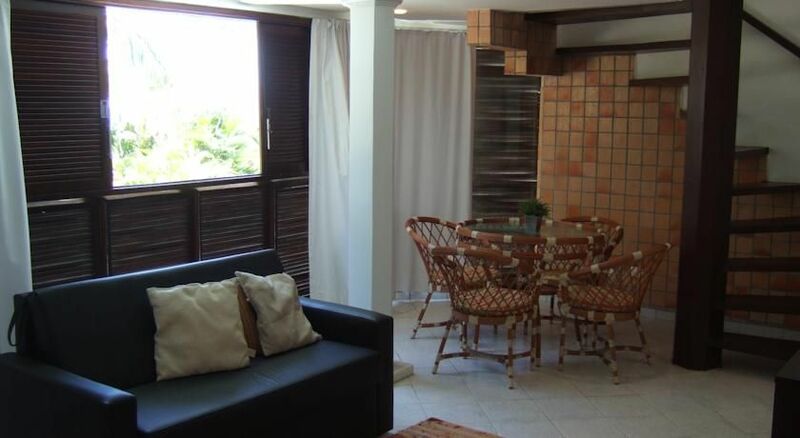 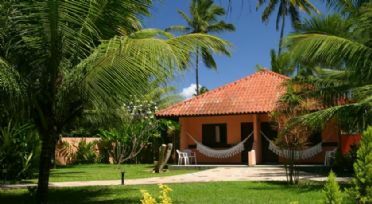 Pérola do Porto is in a great location, is within walking distance from Porto de Galinhas village, next to Porto de Galinhas Beach and near refreshing natural pools. 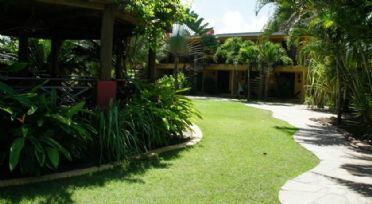 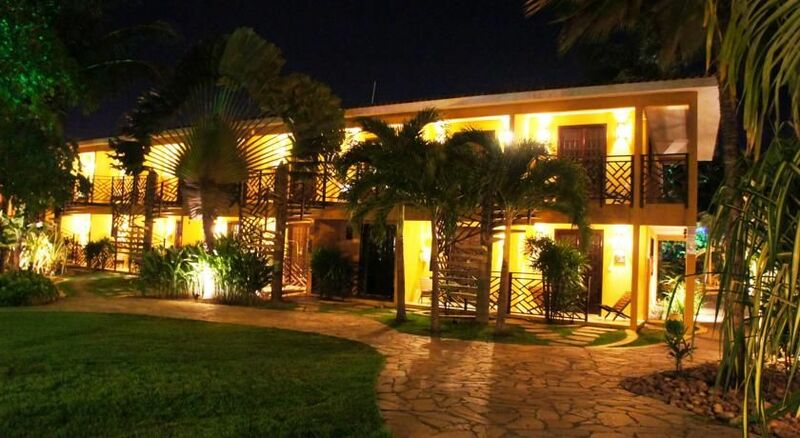 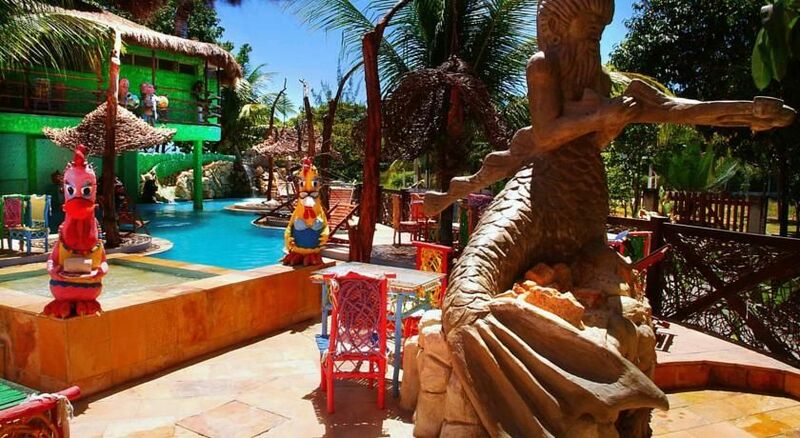 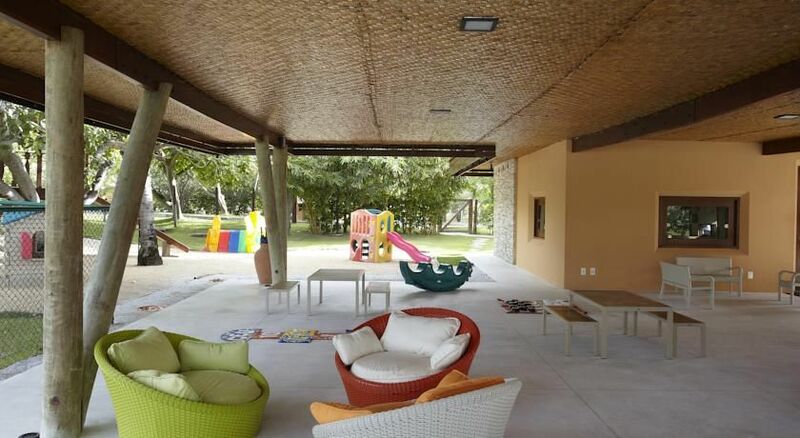 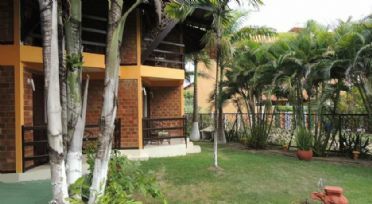 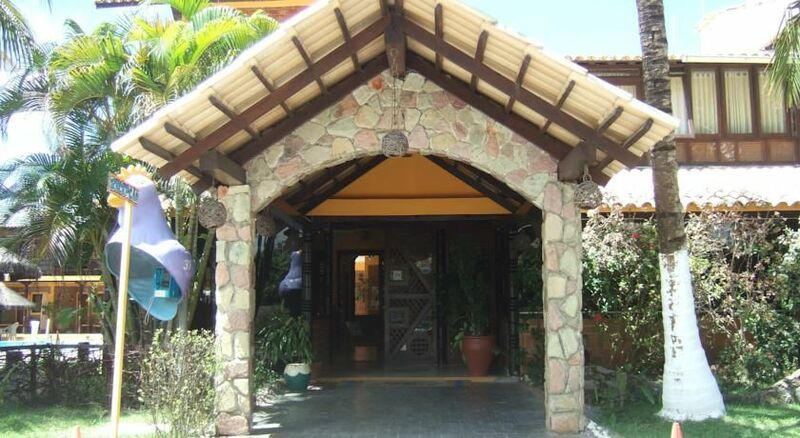 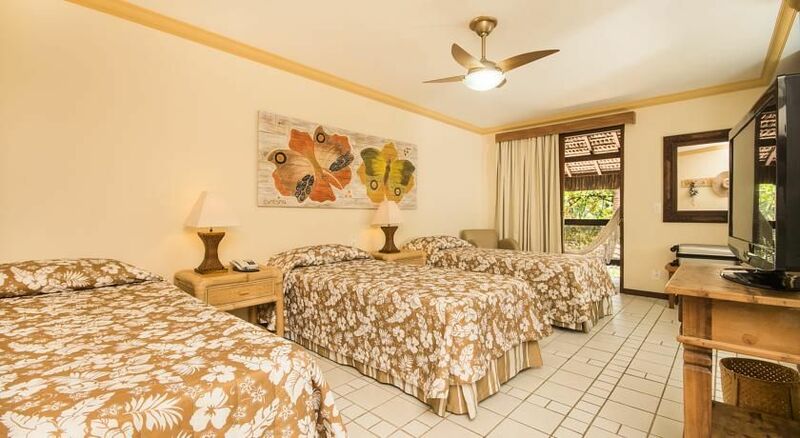 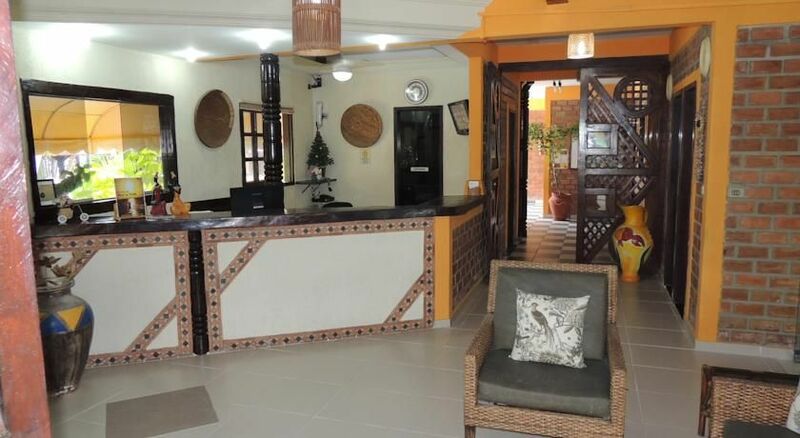 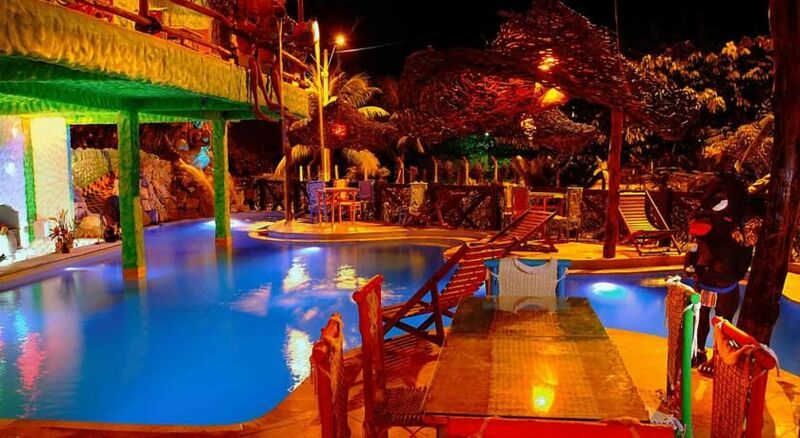 It features tropical gardens, 2 swimming pools and free Wi-Fi. Displaying some regional decorative items, rooms at Pousada Pérola do Porto provide air conditioning, TV, telephone and minibar. 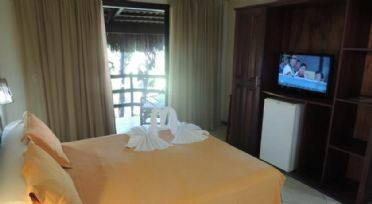 Some also have a balcony and LCD TV. 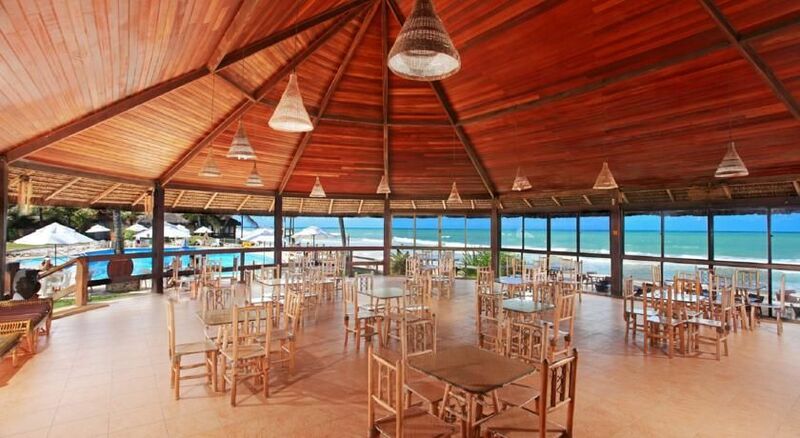 A varied buffet breakfast is served daily, including fresh fruits, natural juices, cakes and regional specialities. Drinks, snacks and pizzas can be ordered from the bar next to the adult and children pools. 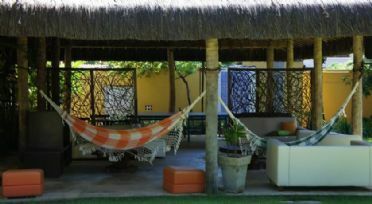 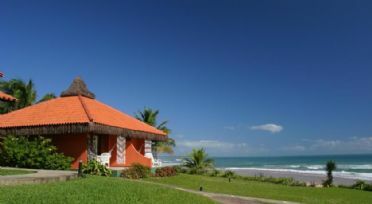 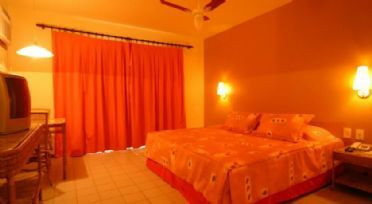 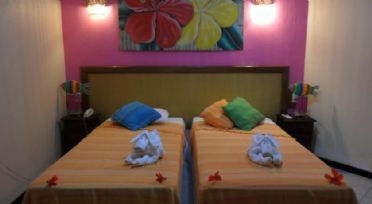 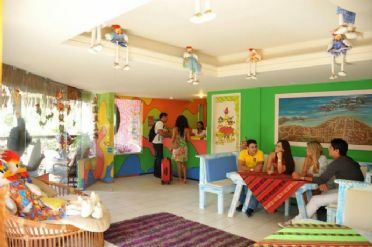 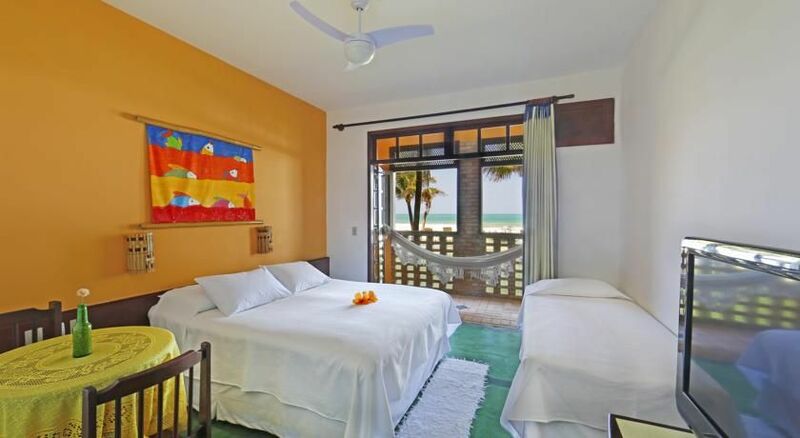 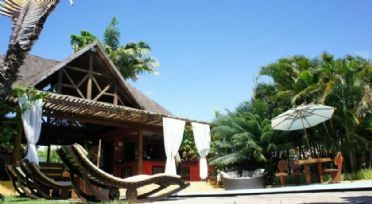 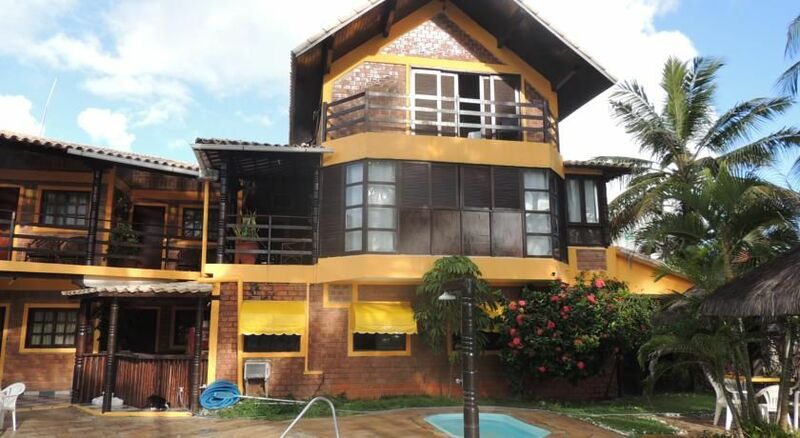 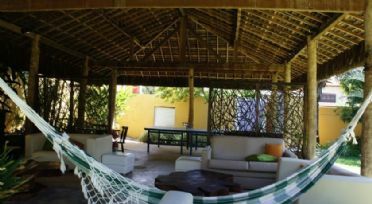 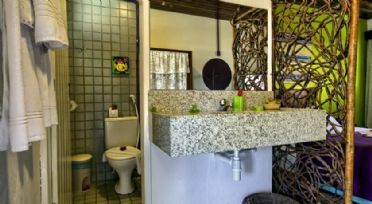 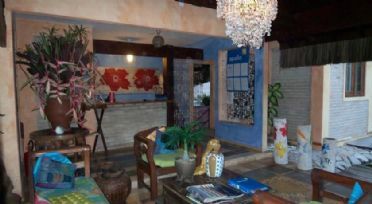 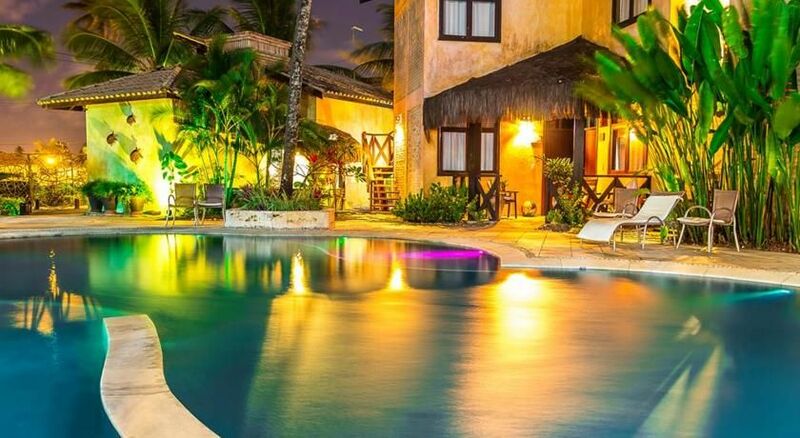 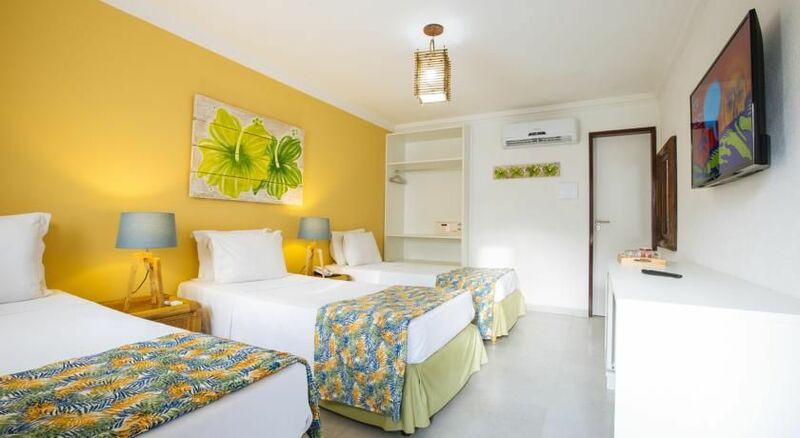 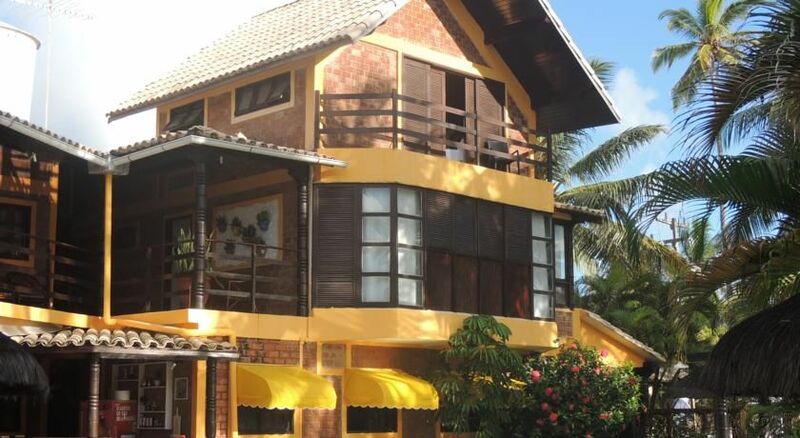 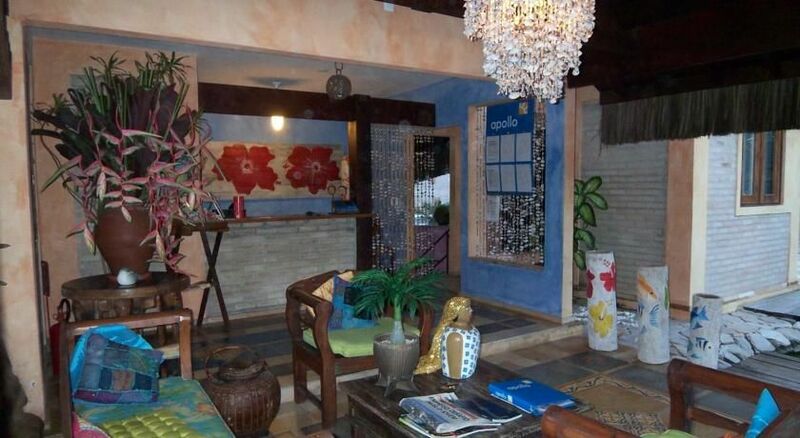 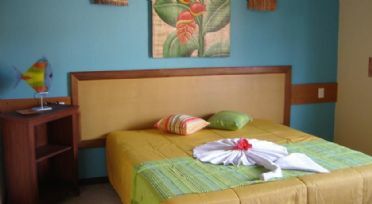 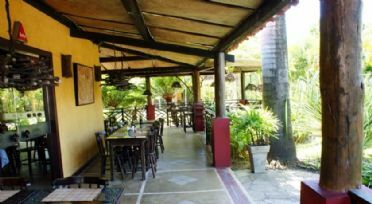 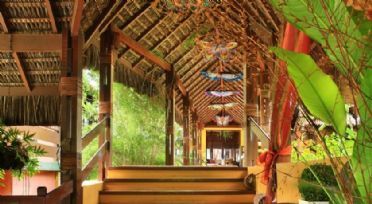 Pousada Tabajuba is a colourful boutique guesthouse located on the Atlantic beachfront 2.5 km from Porto De Galinhas city centre. 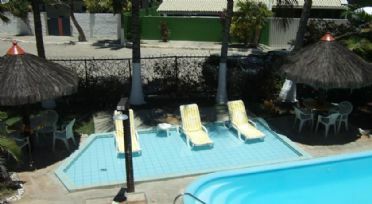 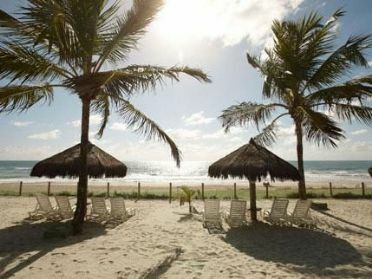 It features an outdoor pool and direct access to a white-sand beach. 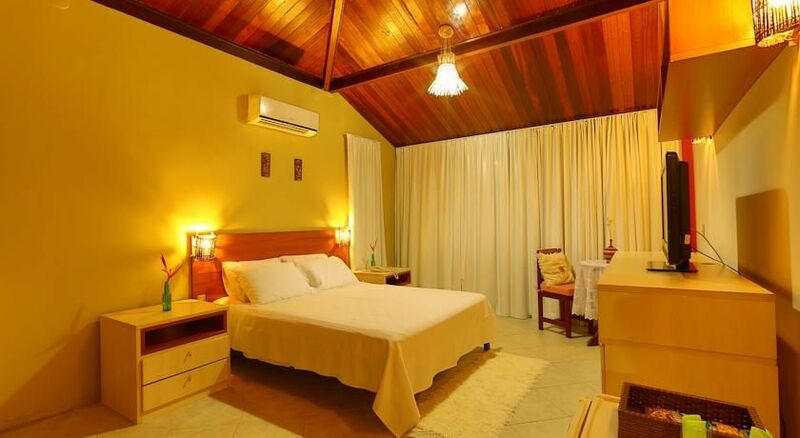 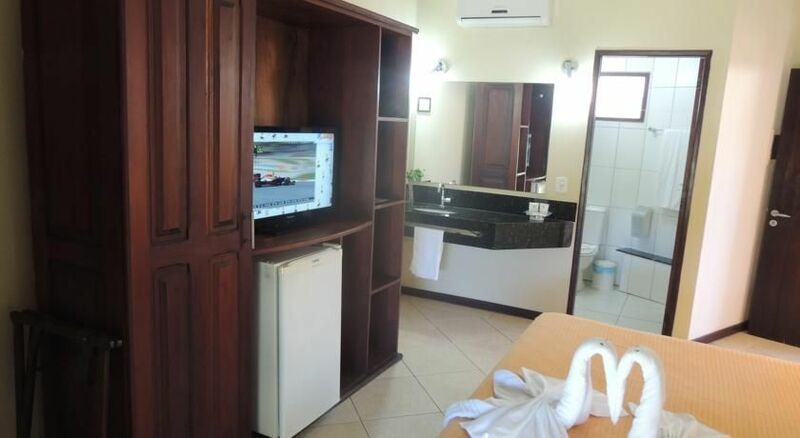 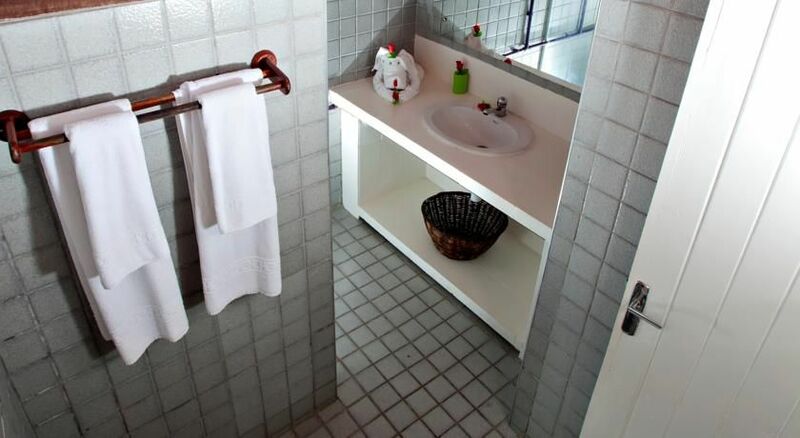 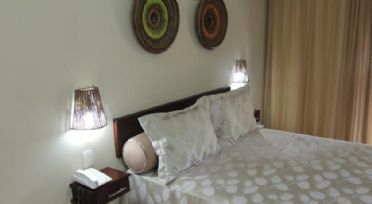 Pousada Tabajuba’s bright and spacious rooms all feature air conditioning, a shower, a TV and a minibar. 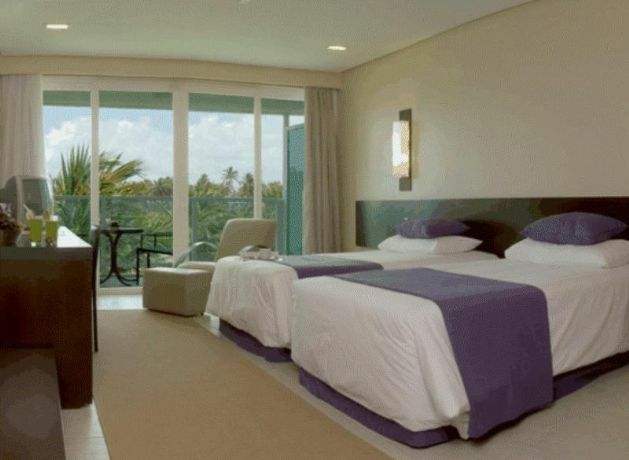 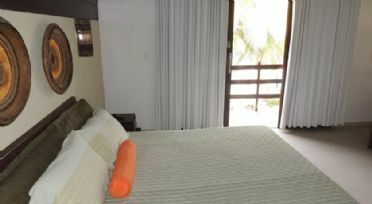 Some of the guest rooms also feature a private terrace with a hammock. 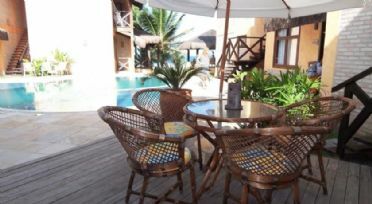 A daily breakfast of fresh fruits and local specialties is available each morning. 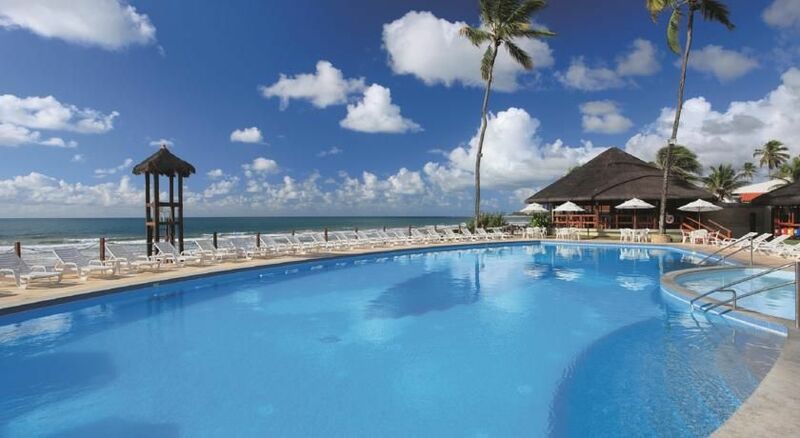 Guests can relax in the outdoor pool from which there are direct views of the ocean. 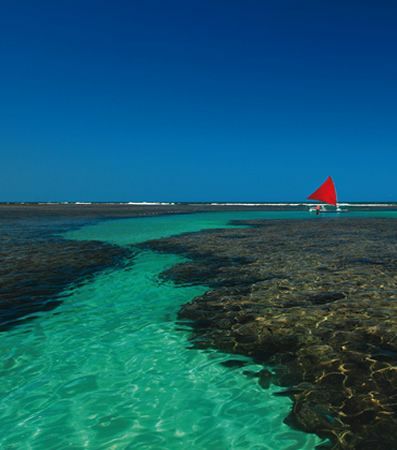 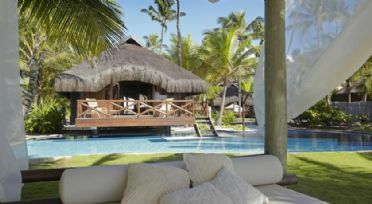 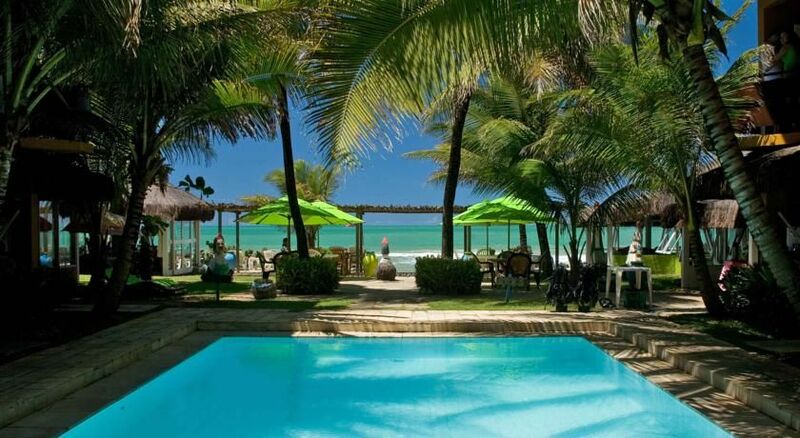 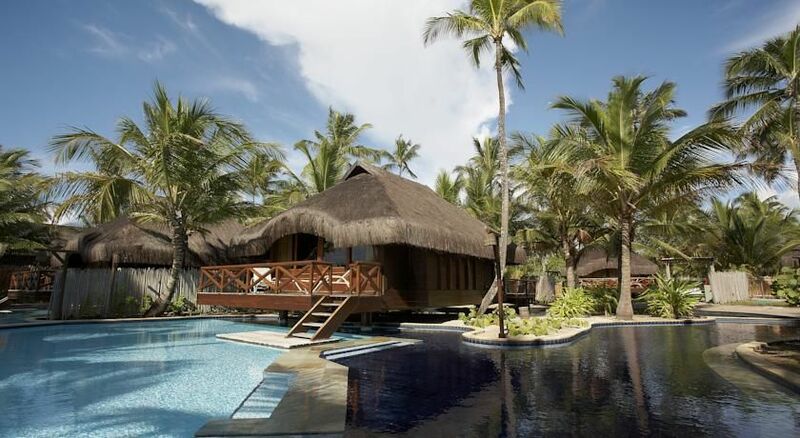 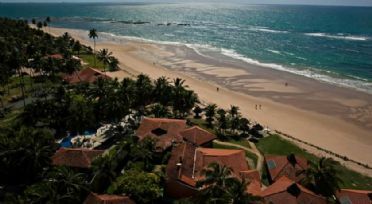 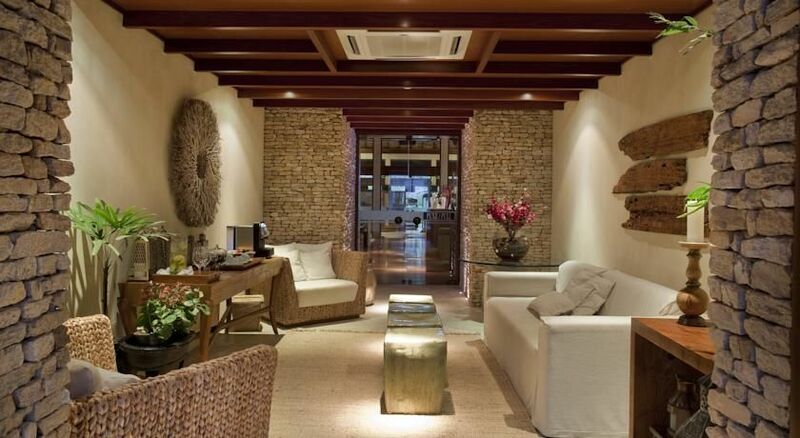 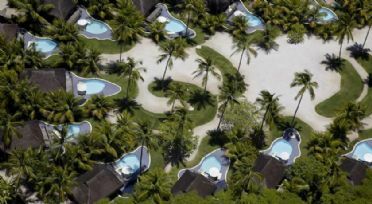 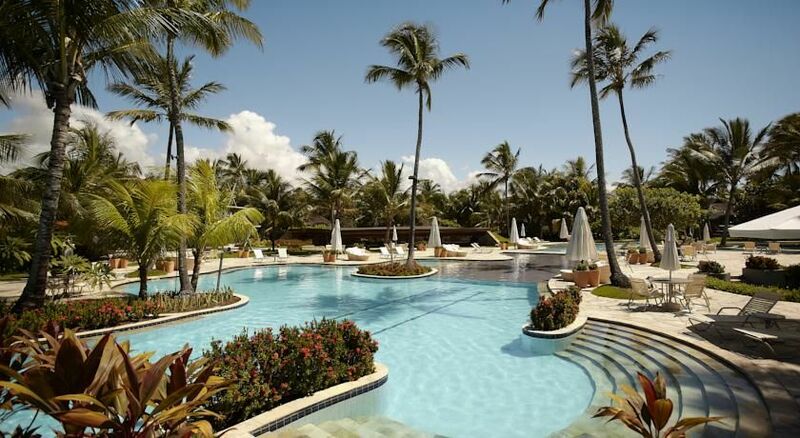 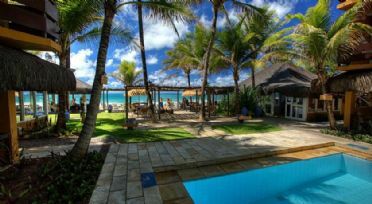 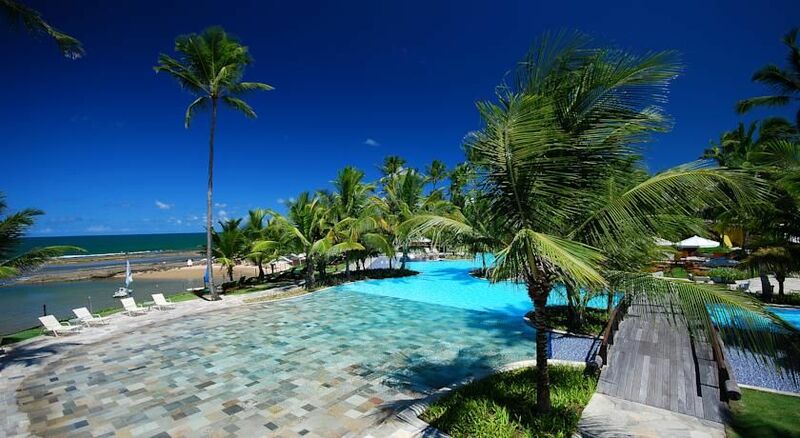 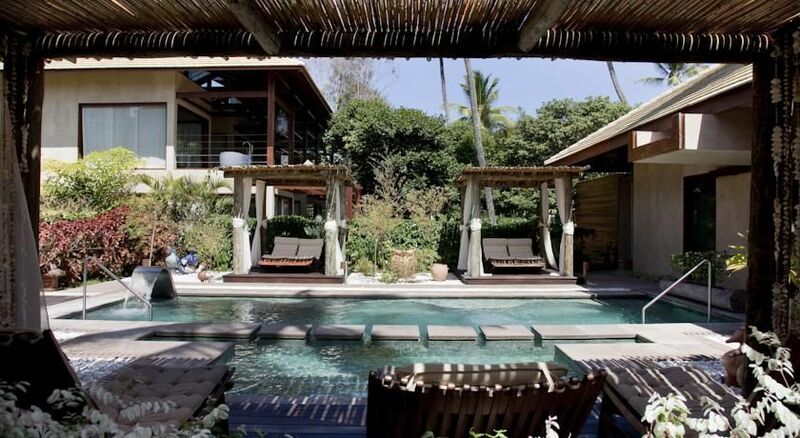 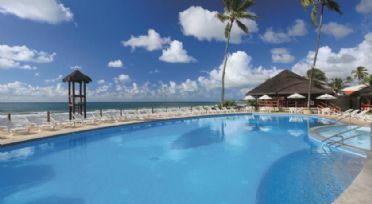 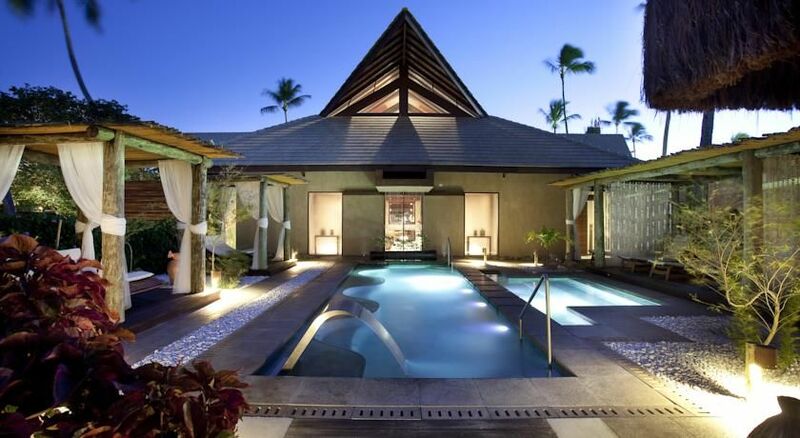 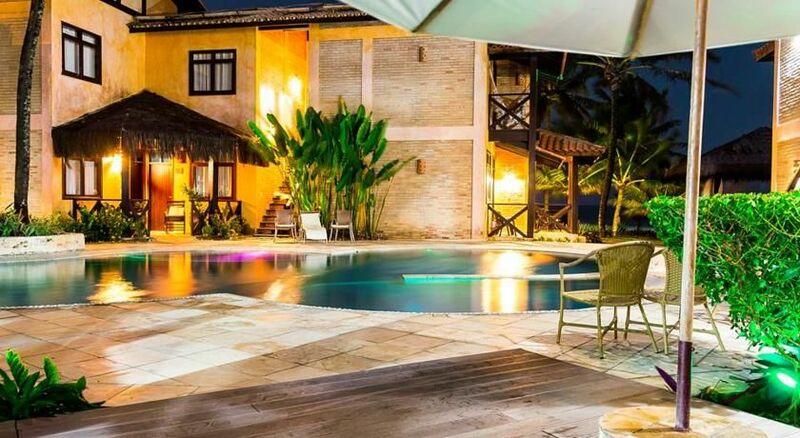 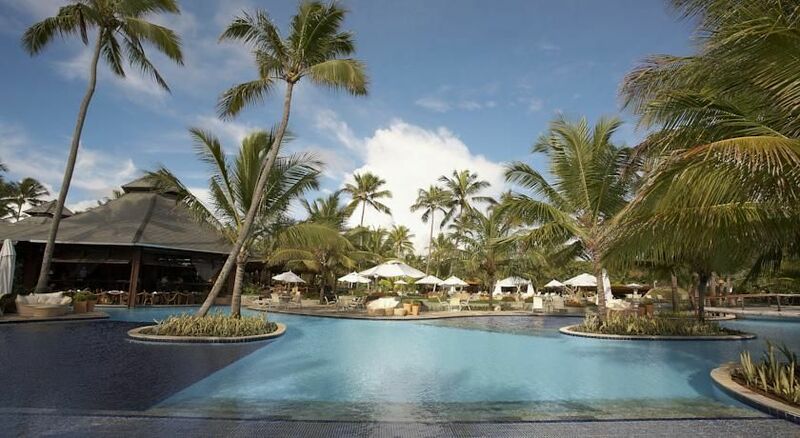 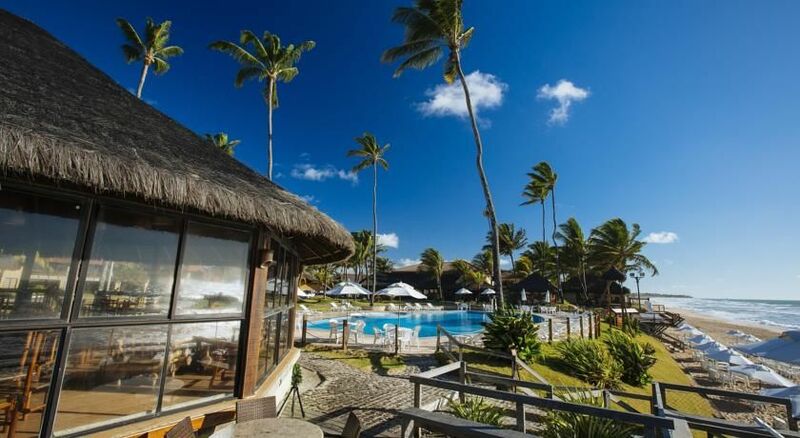 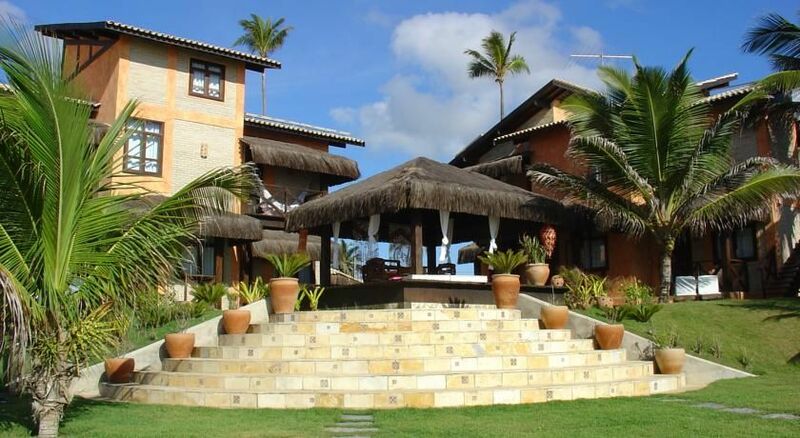 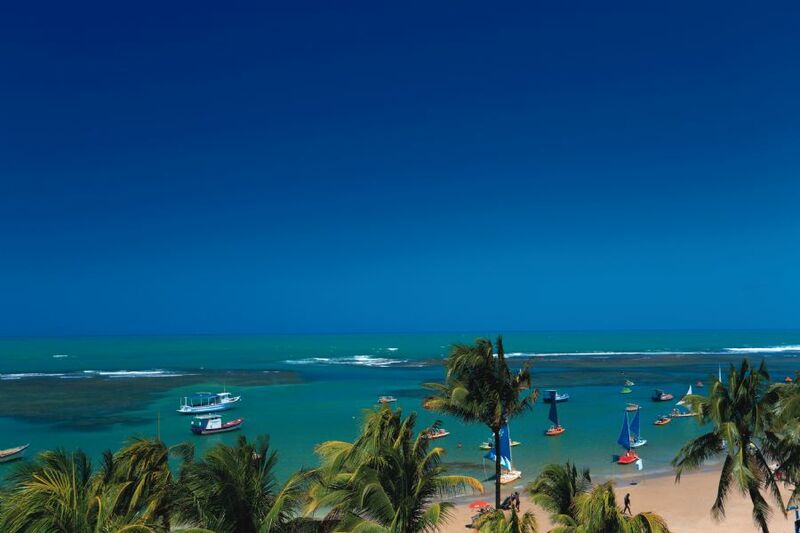 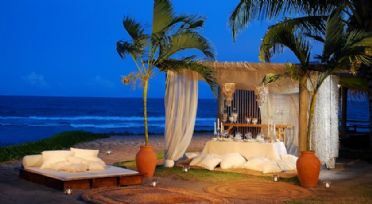 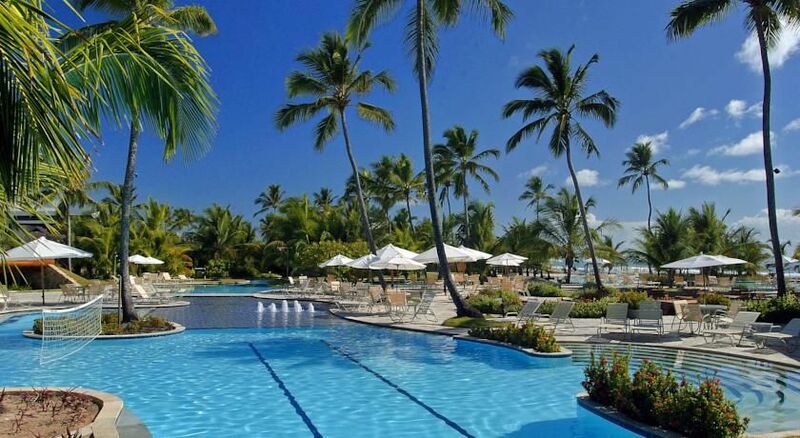 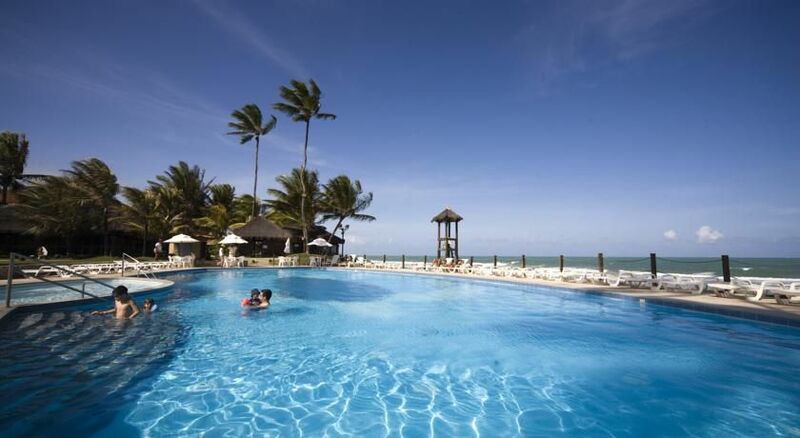 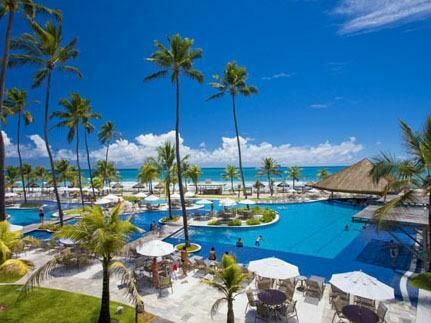 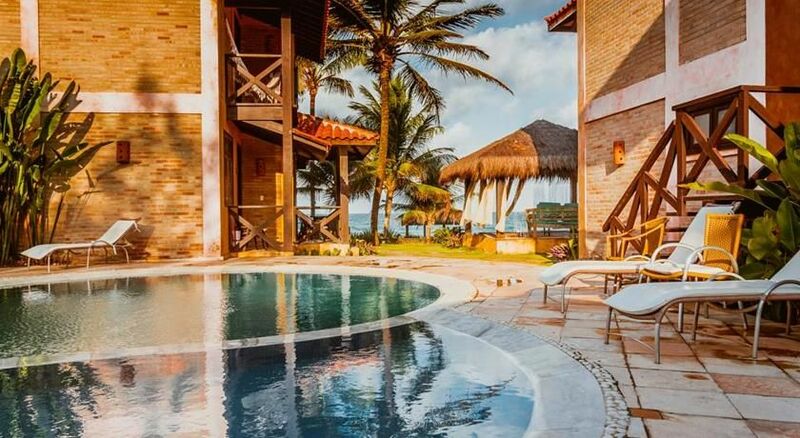 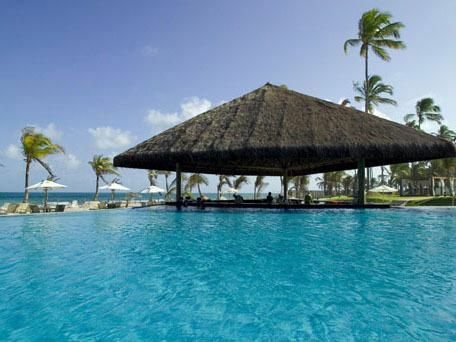 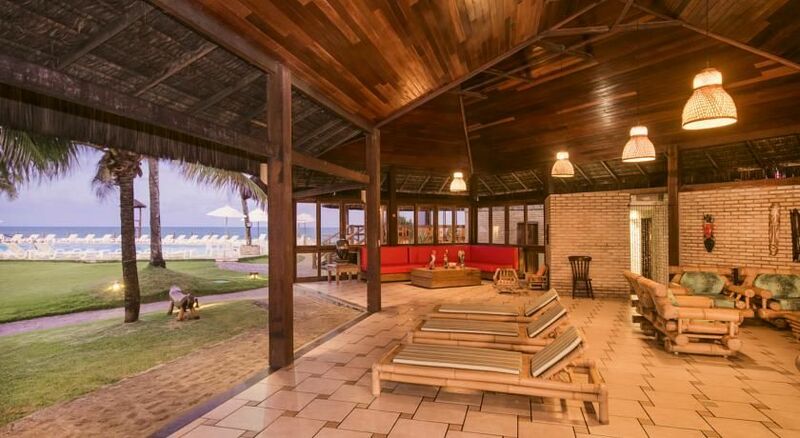 Pousada das Galinhas offers a 120-metre lagoon pool, and a wet bar in the village centre of Porto de Galinhas. 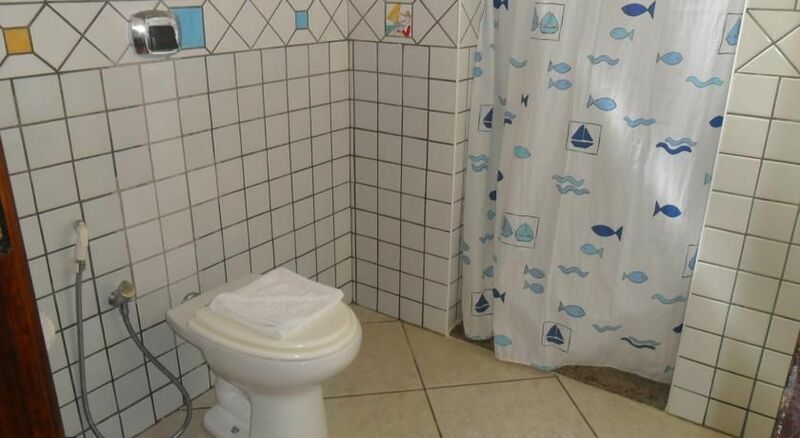 Wi-Fi is available in some areas. 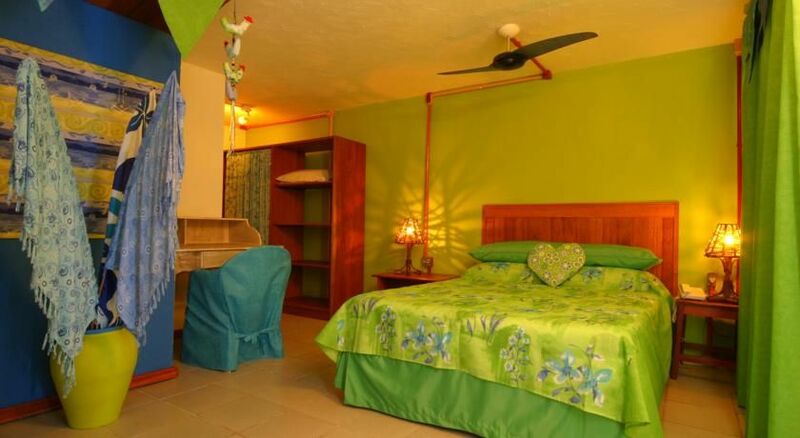 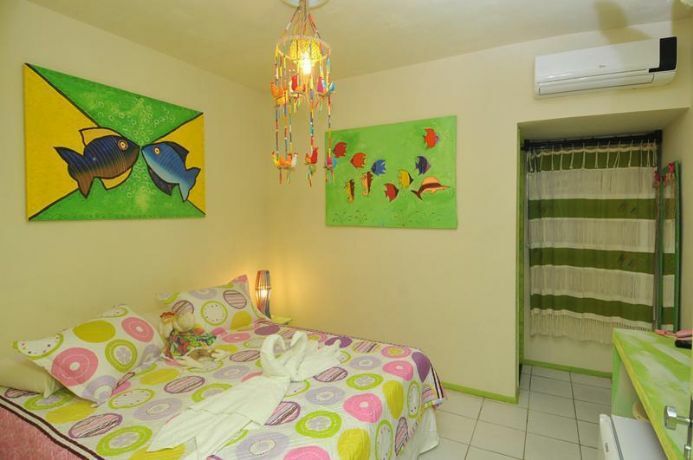 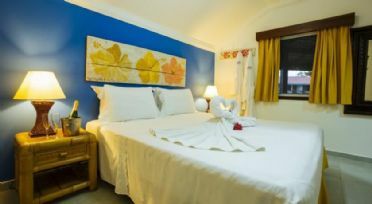 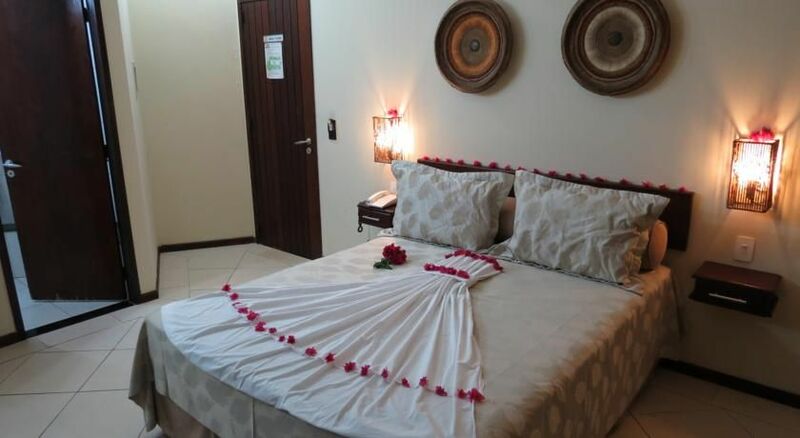 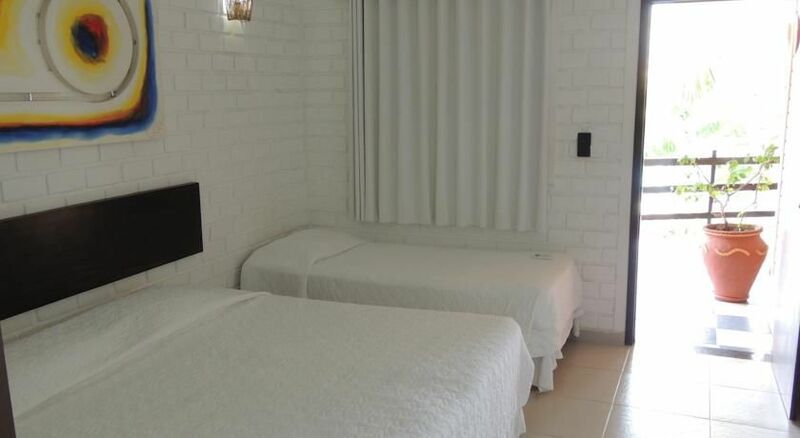 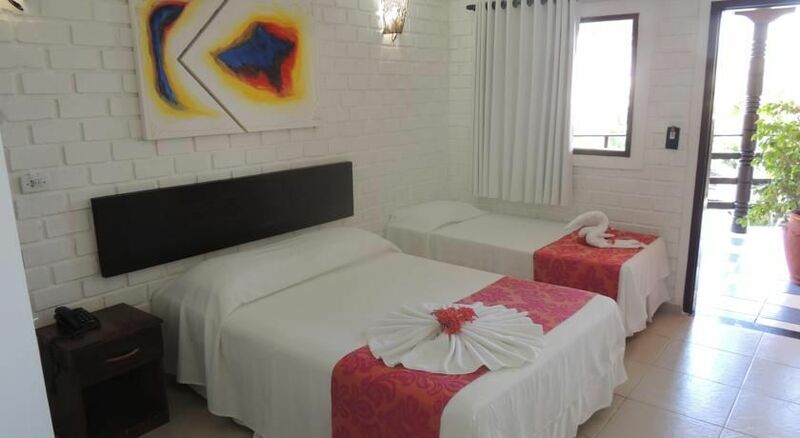 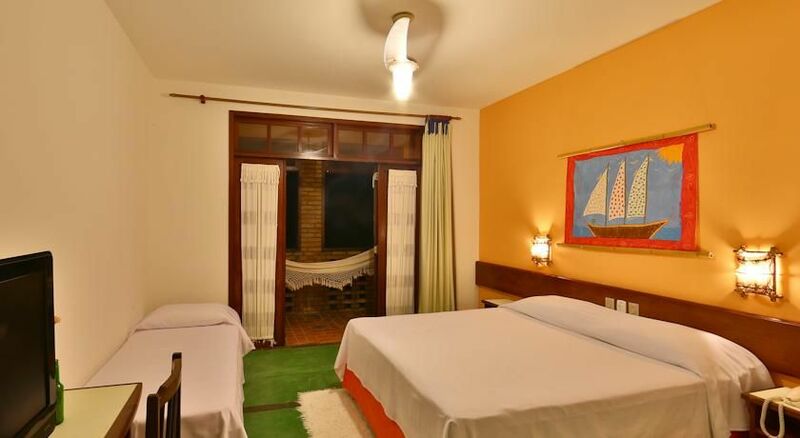 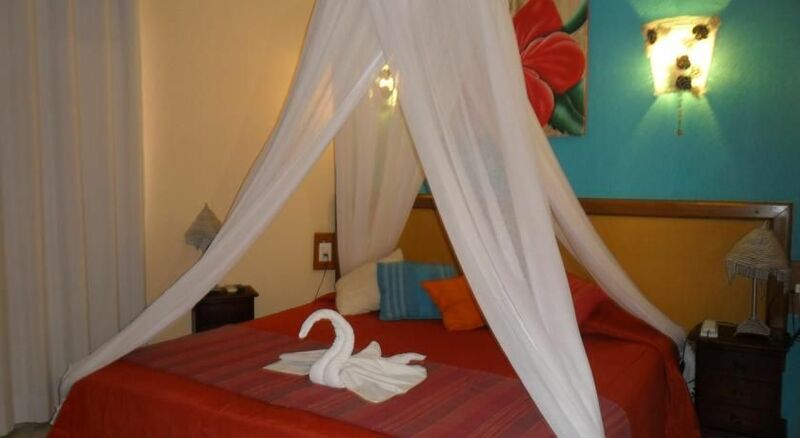 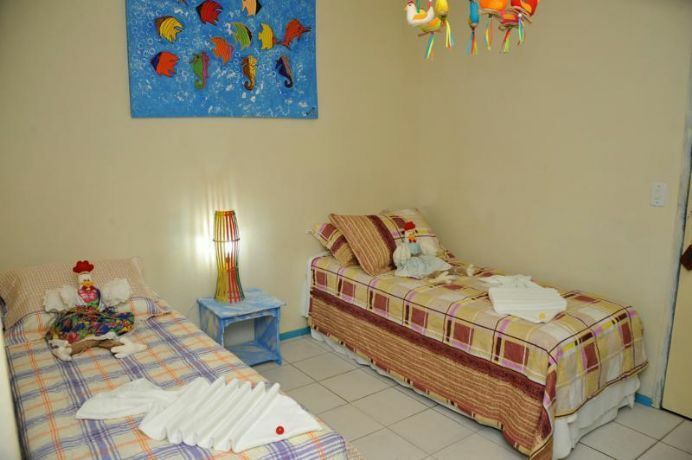 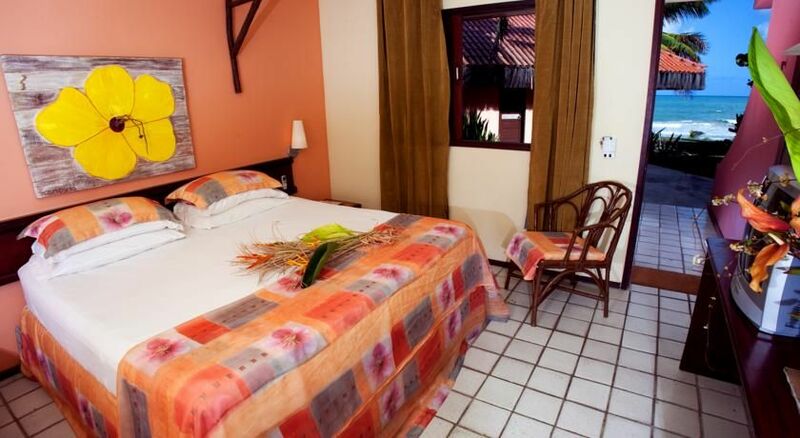 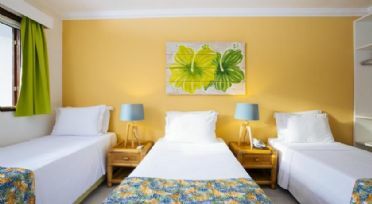 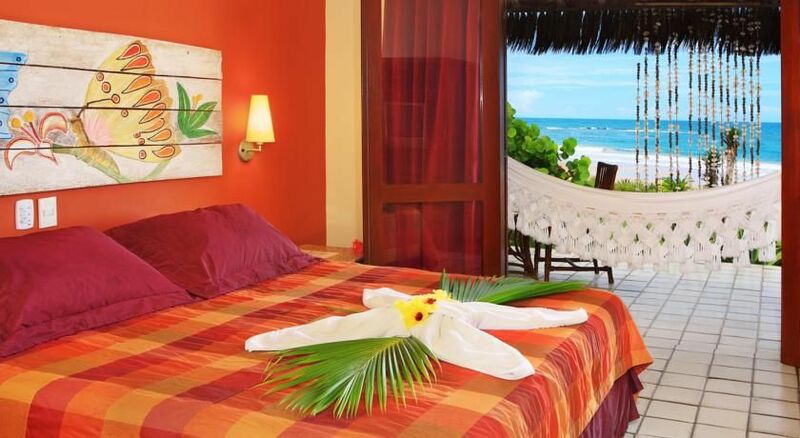 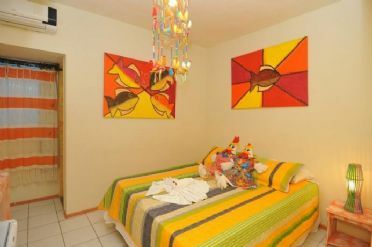 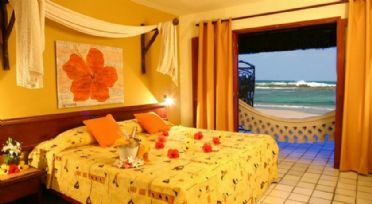 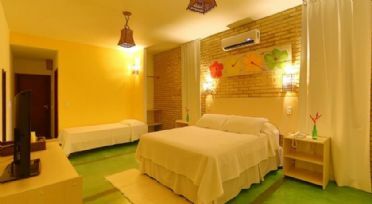 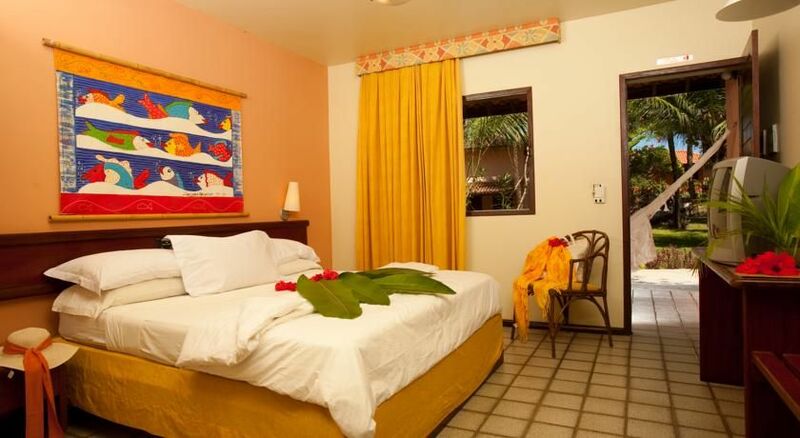 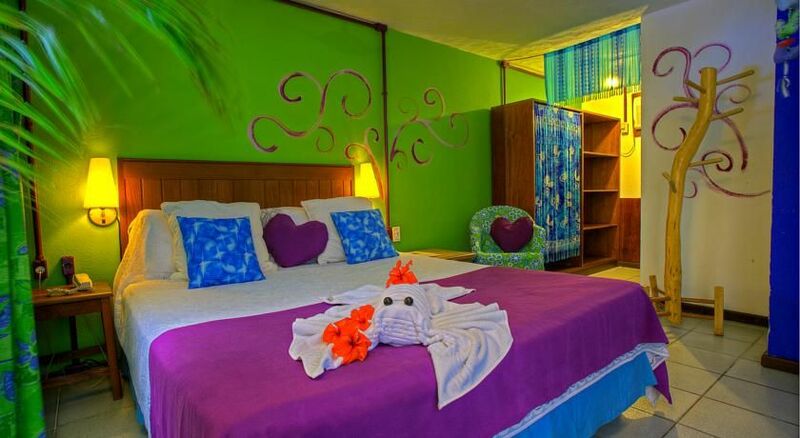 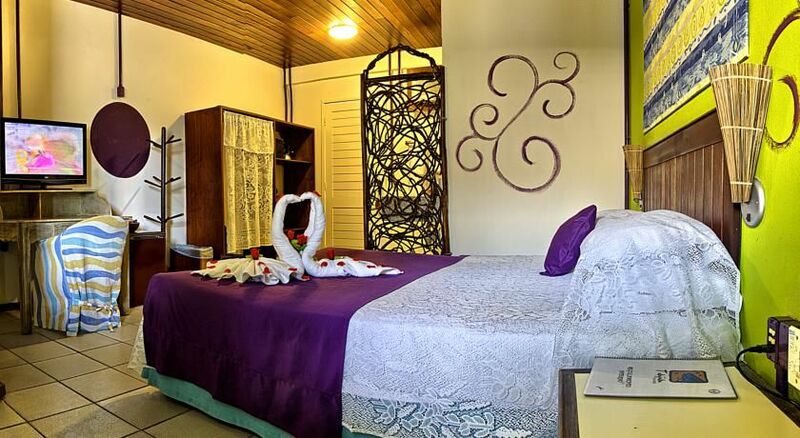 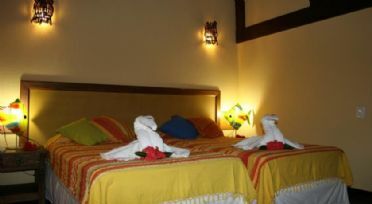 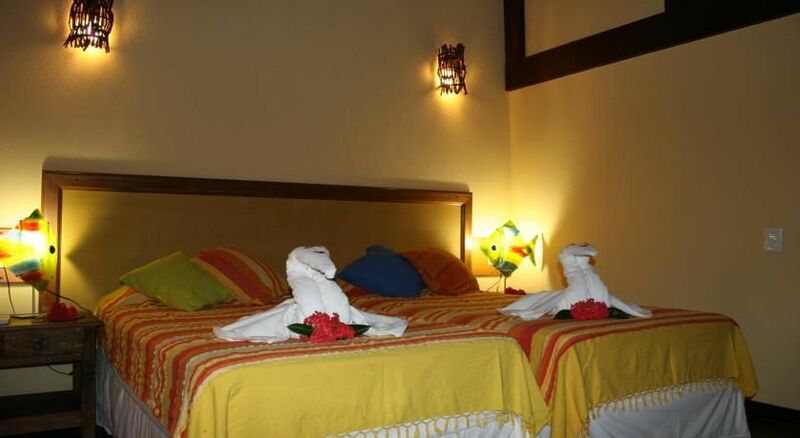 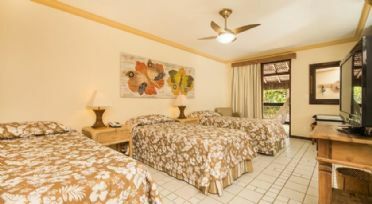 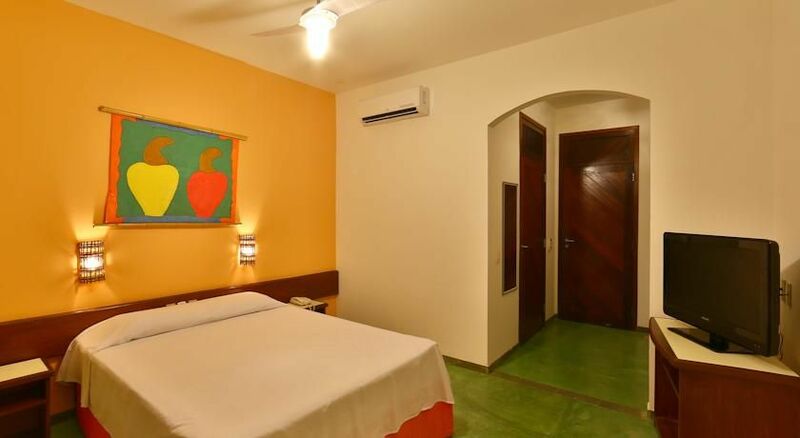 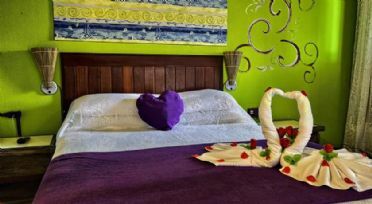 All rooms are brightly decorated and have cotton sheets, air conditioning, minibar, cable TV and a telephone. 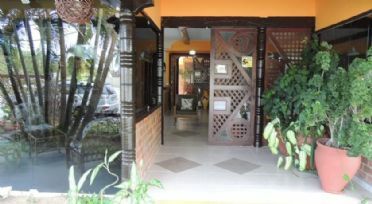 Guests can make use of the free parking. 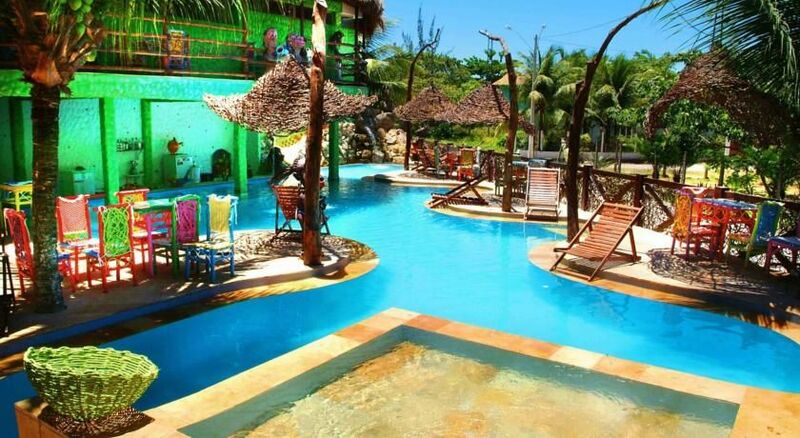 The pool also has a small waterfall and a grotto. 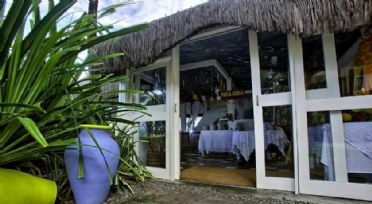 Breakfast includes tropical fruits, yoghurt, cakes and beef jerky, tapioca freshly prepared and delicious breads. 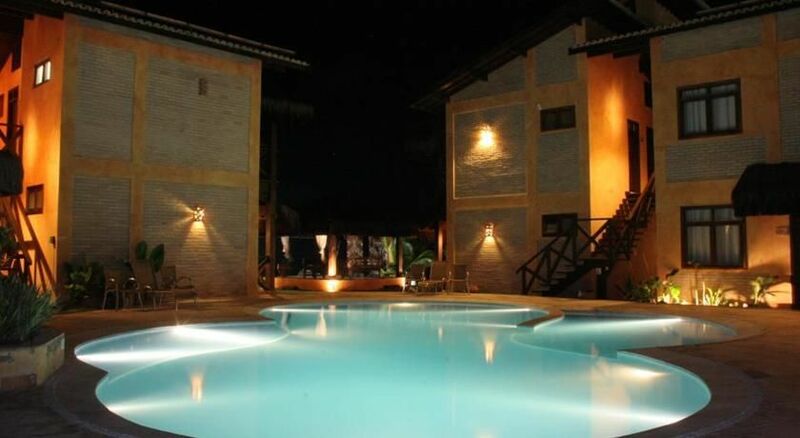 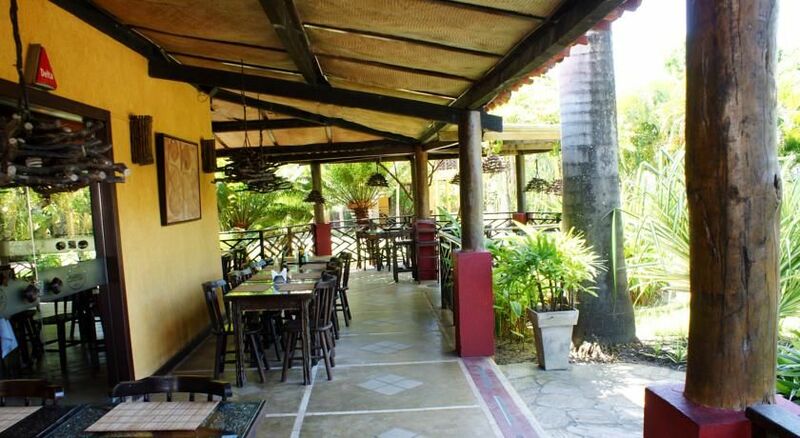 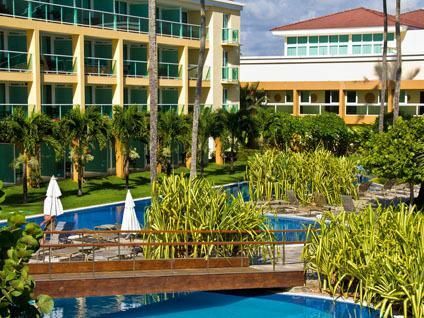 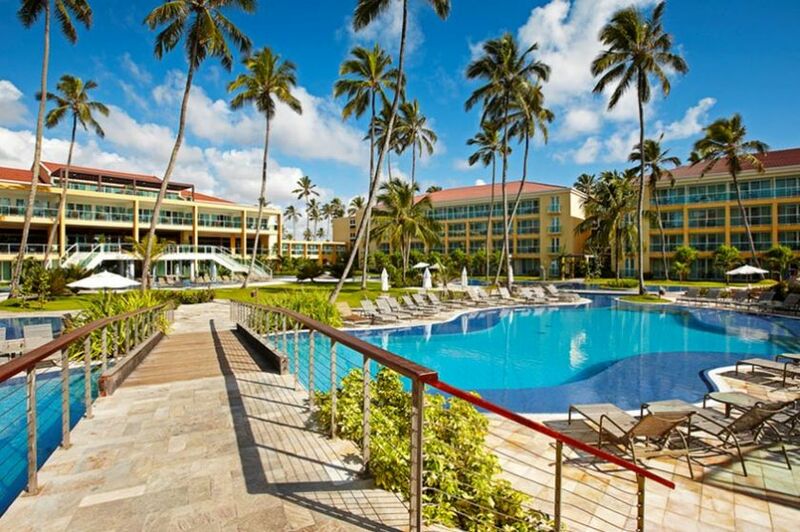 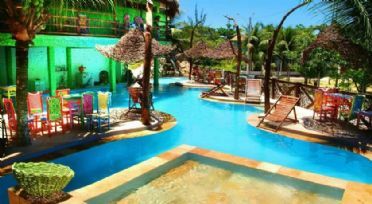 Marambaia sits on Cupe Beach, and features an outdoor pool, on-site restaurant and free Wi-Fi. 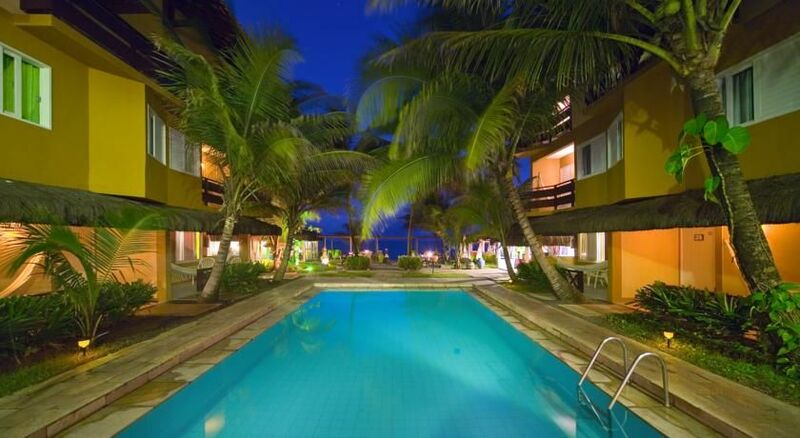 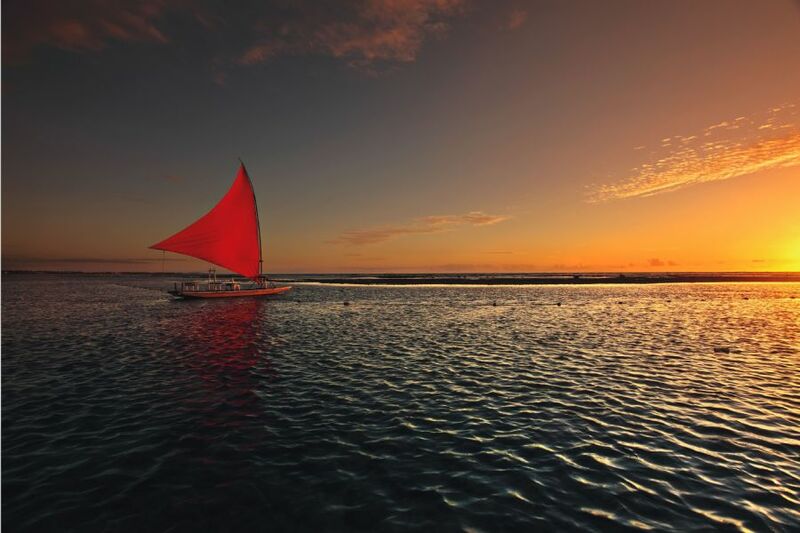 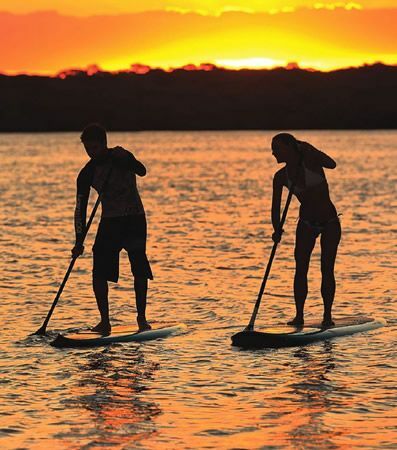 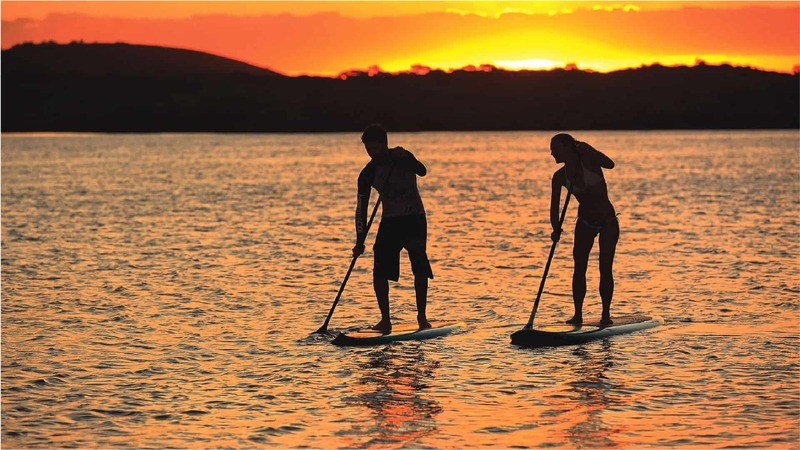 Every night, it offers free transfer to Porto de Galinhas centre, which is 4 km away. 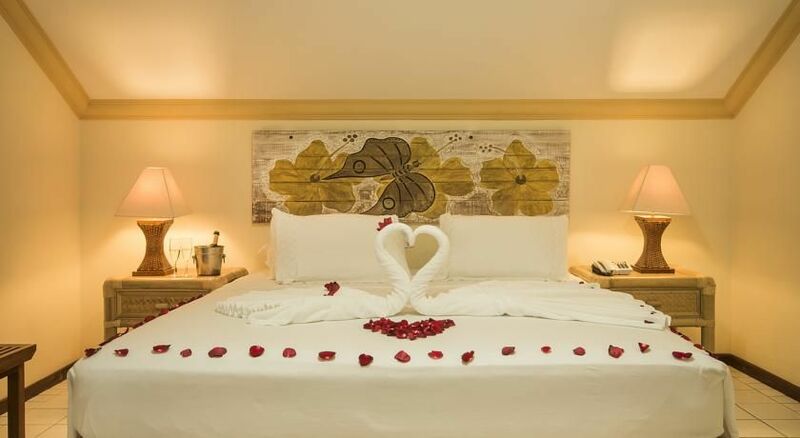 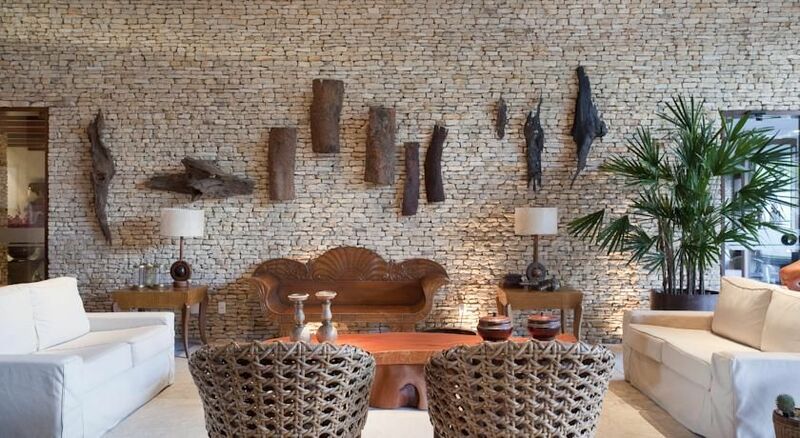 Rooms at Pousada Marambaia Do Porto are simply decorated following the hotel’s marine theme. Each is equipped with air conditioning, 20-inch cable TV and a minibar. 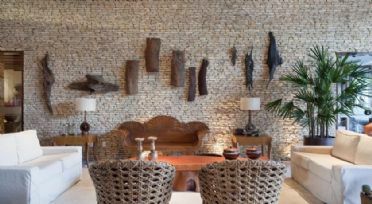 Guests can enjoy a massage or relax in the hotel’s zen garden. 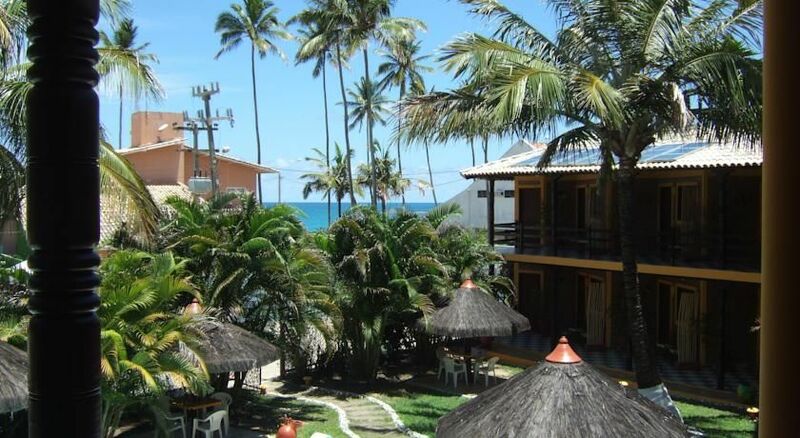 The whole area is surrounded by palm trees and overlooks the sea. 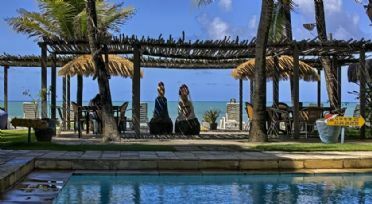 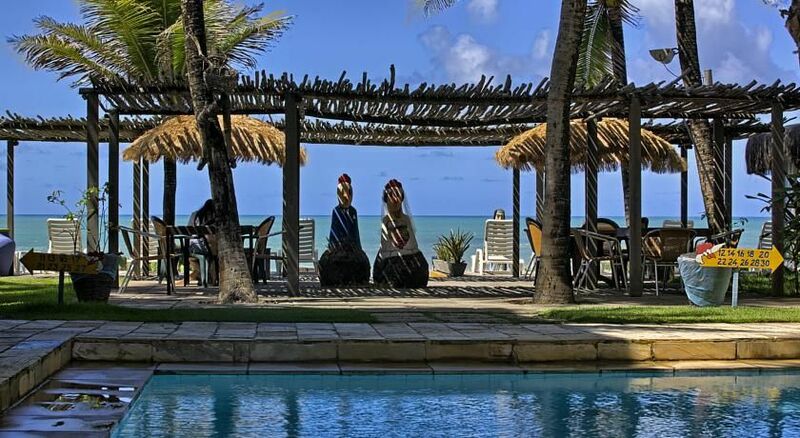 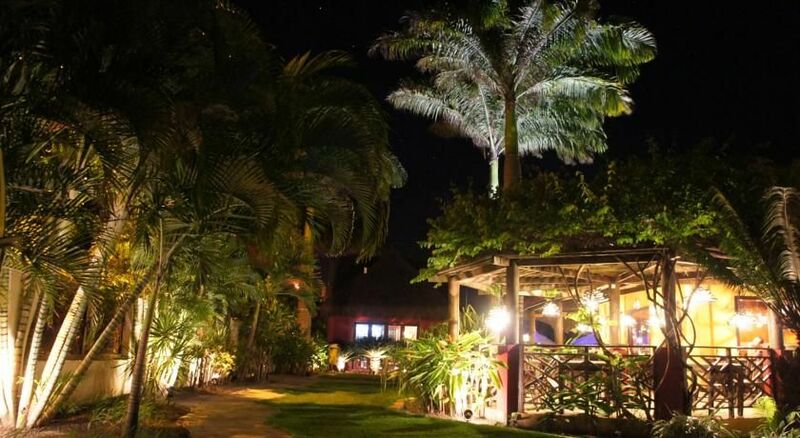 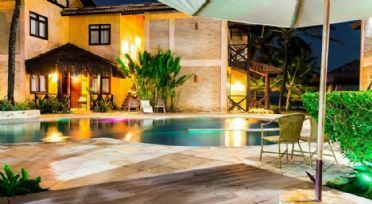 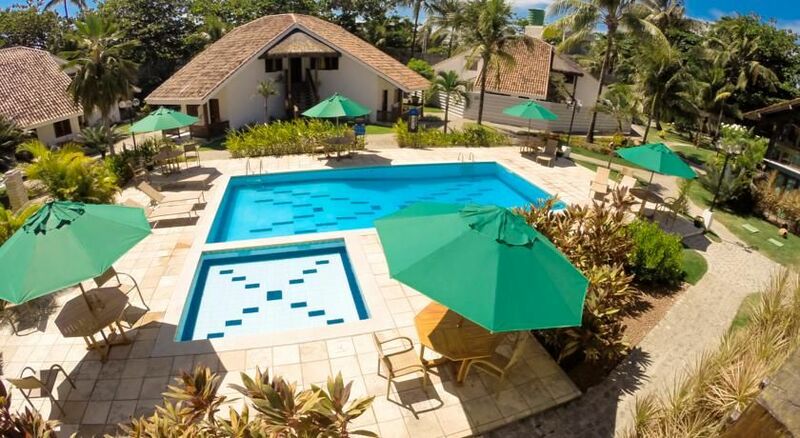 Located by Cupe beach, 5 km from Porto de Galinhas town center, Pousada Tabapitanga provides luxurious accommodation with panoramic Atlantic Ocean views. It offers an outdoor swimming pool. 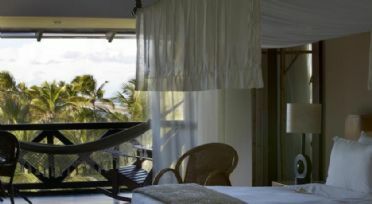 The rooms feature a private balcony with a hammock. All rooms are air-conditioned. 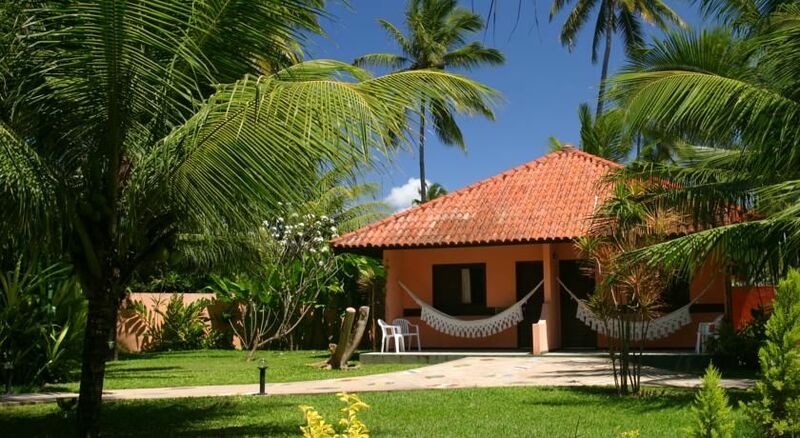 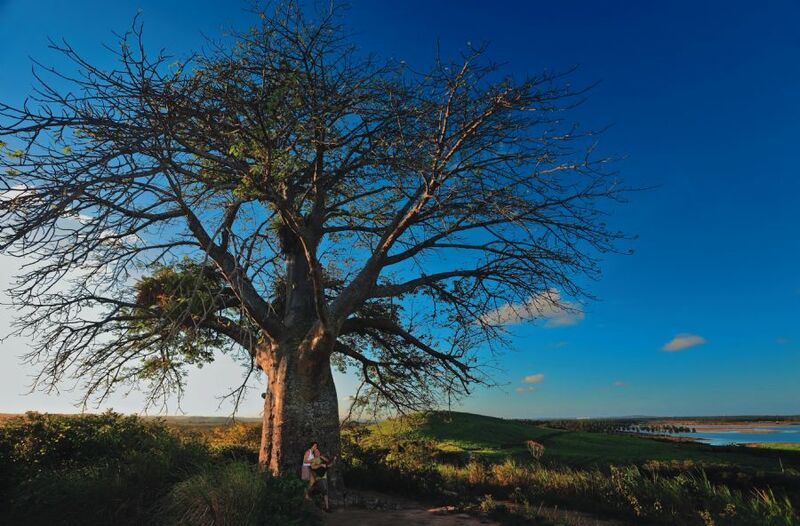 Free private parking is available at Pousada Tabapitanga. 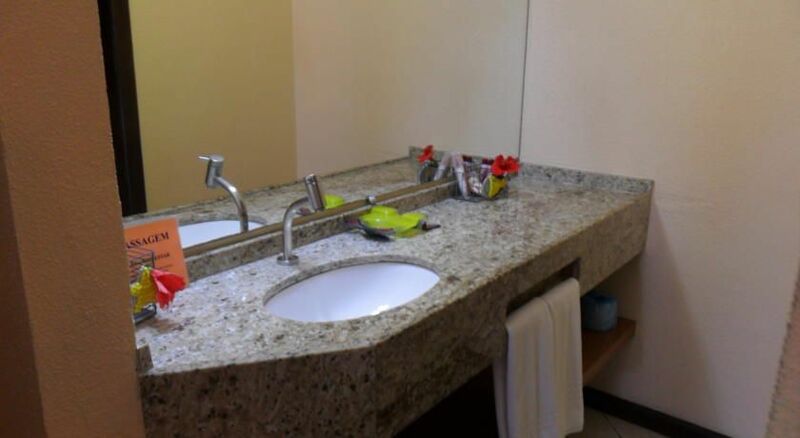 Hotel Armação offers a wide range of services and activities. 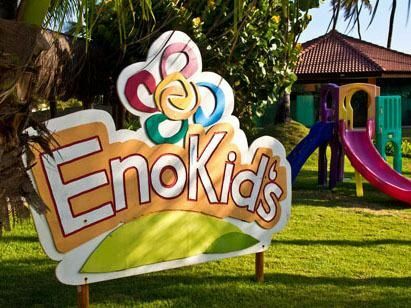 The Kids Club provides family-fun with art classes, beach games and dance competitions. 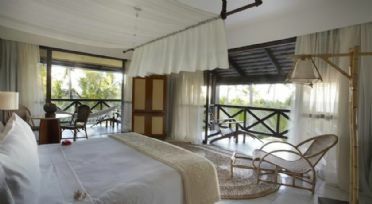 For adults, there is a massage gazebo with a view of the beach, a tennis court and fitness centre. This hotel is 1 minute walk from the beach. 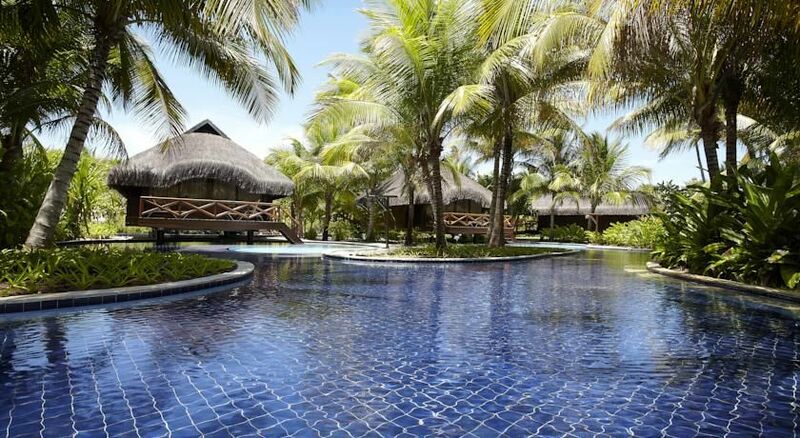 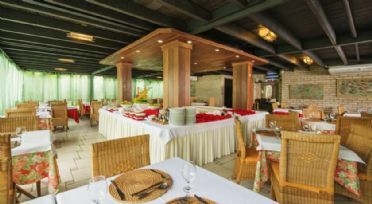 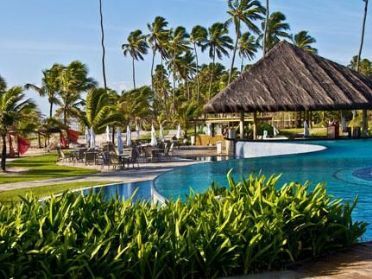 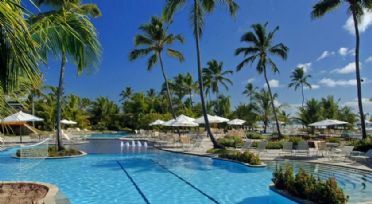 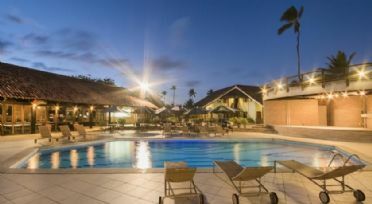 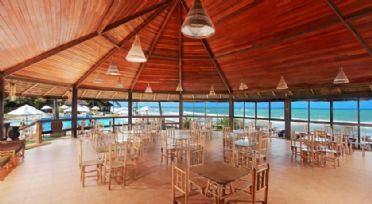 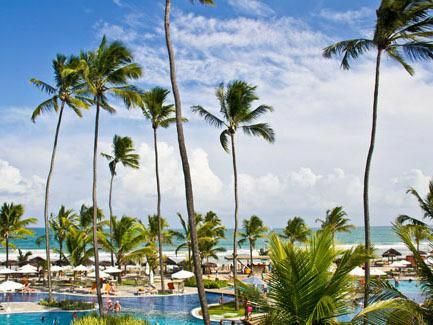 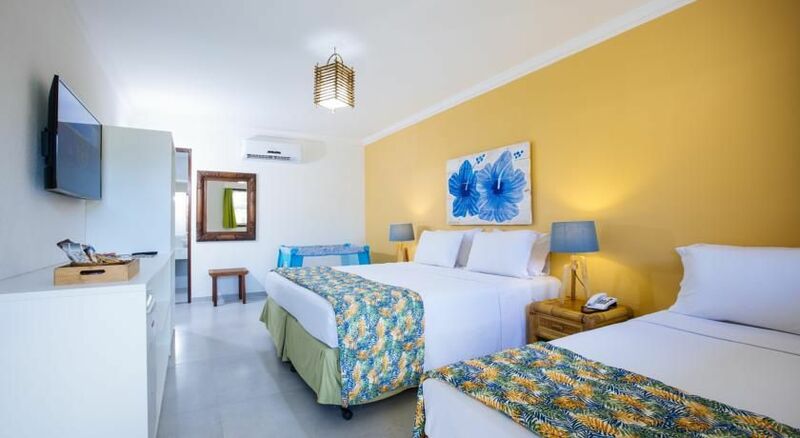 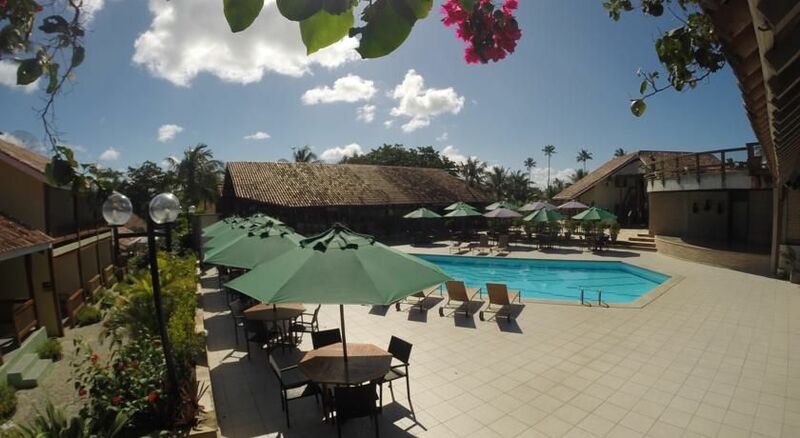 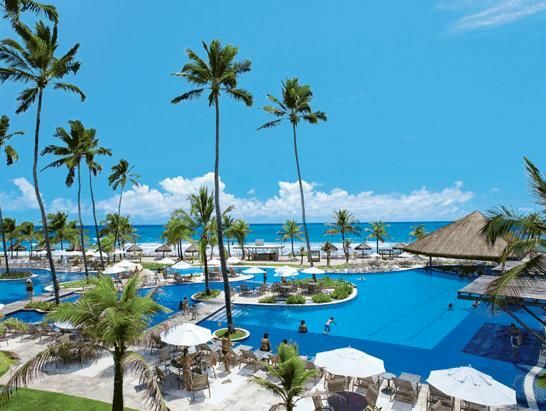 Set on the beachfront of Porto de Galinhas, the tropical-style Hotel Armação boasts 4 swimming pools, 2 restaurants and a beach bar just 2 km from the charming Fisherman´s Village. WiFi is free. 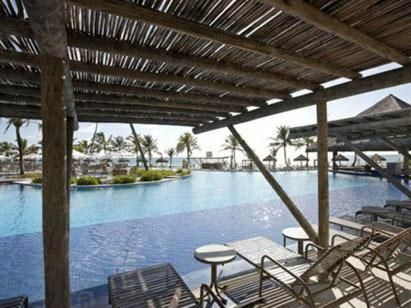 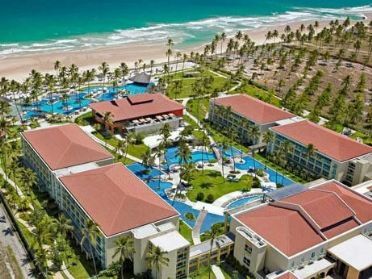 Located on the beachfront, the Enotel all-inclusive Resort & Spa features outdoor pools, a pool bar and an indoor swimming pool complex. 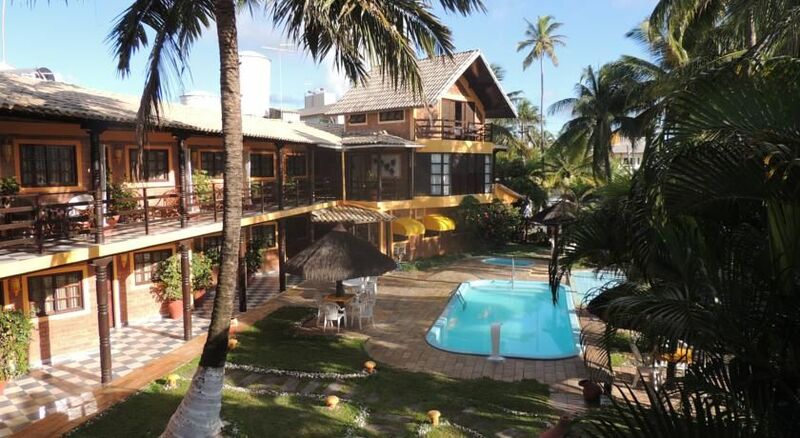 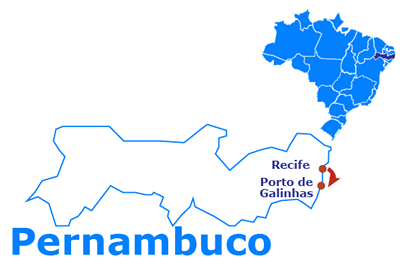 Vila de Porto de Galinhas centre is only 3 km away. 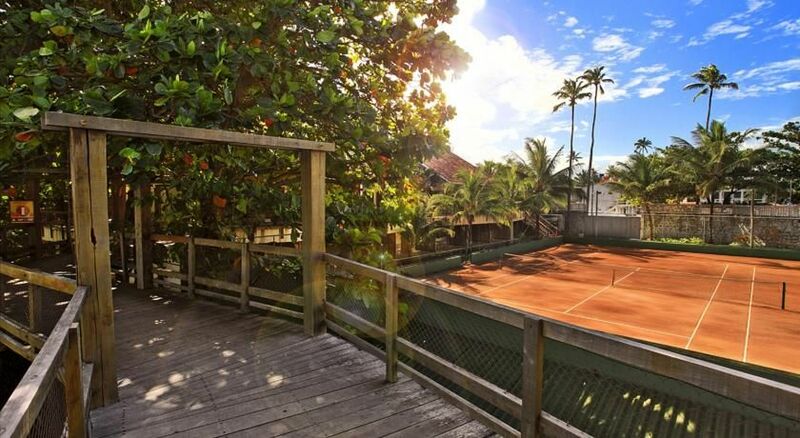 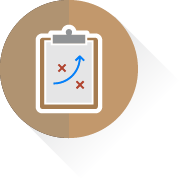 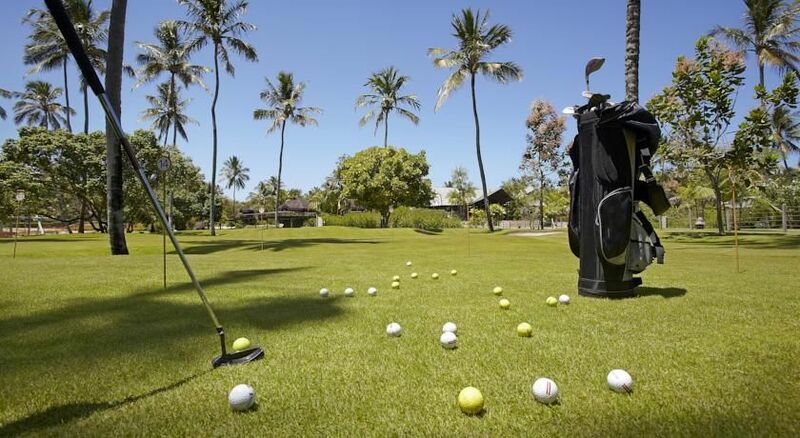 Recreational activities include beach volleyball, beach soccer and tennis. The stylish rooms contain crisp white décor, black-out curtains and floor-to-ceiling windows. 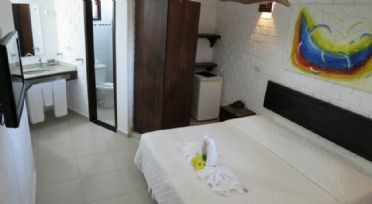 All rooms provide air conditioning, TV and a minibar. 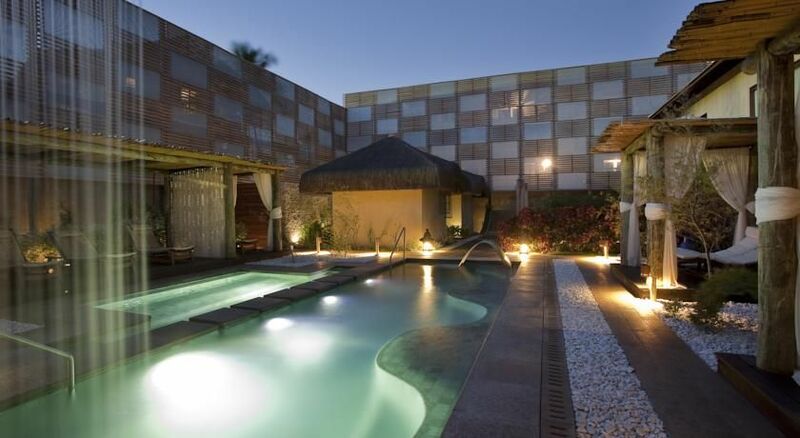 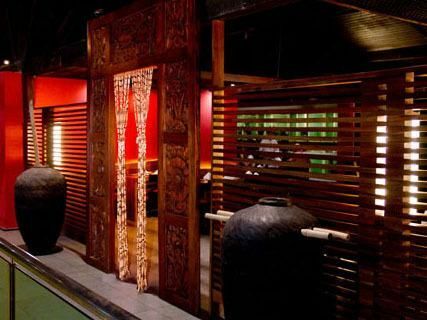 The hotel offers a spa with relaxing jet pools, a beauty salon and massage rooms. Guests can make full use of the fitness centre. 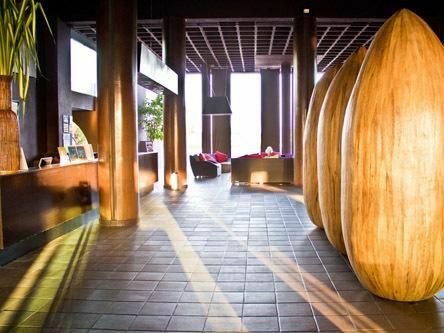 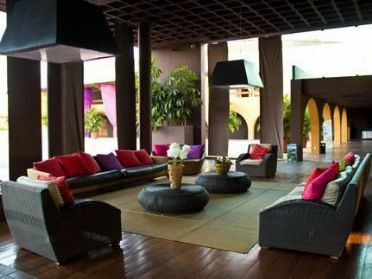 Enotel Resort boasts its very own night club, Boite Enotel. 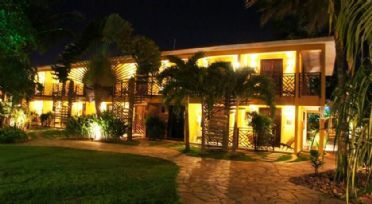 An additional club provides live music and shows. 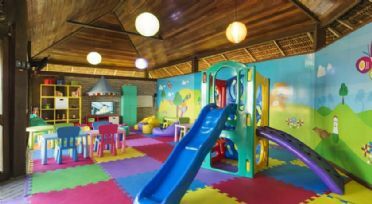 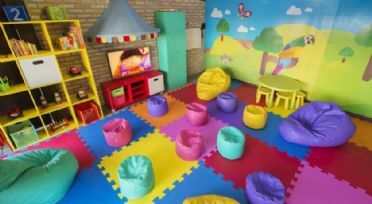 Kids are provided with a variety of activities and games. 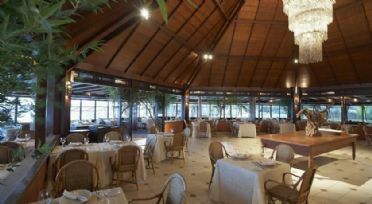 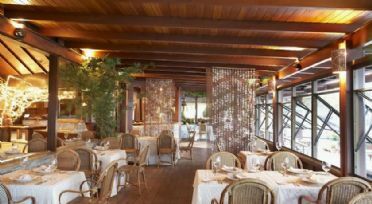 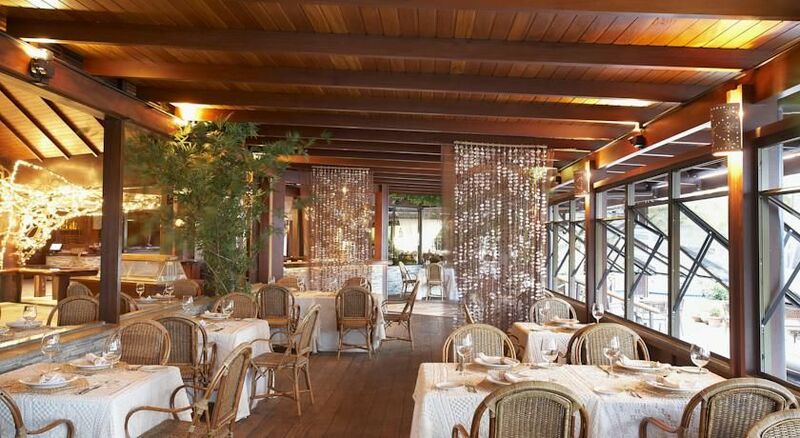 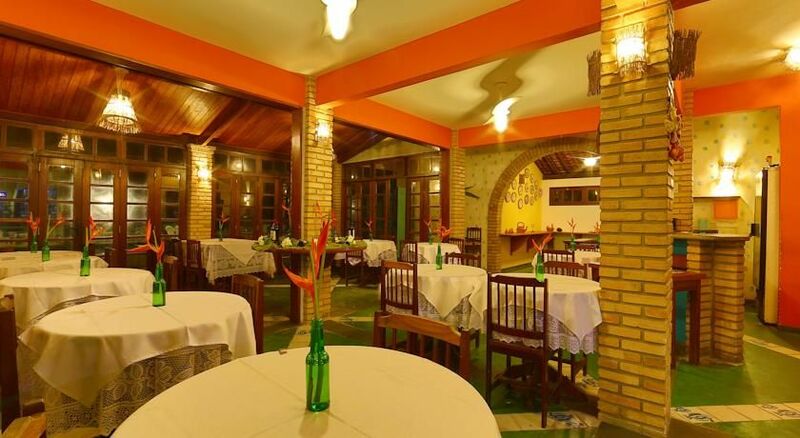 Portuguese and North-Eastern Brazilian specialties are served in the hotel’s 2 restaurants. 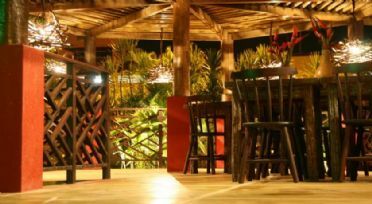 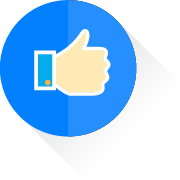 All restaurants and bars include unlimited consumption of alcoholic, non-alcoholic beverages and food. 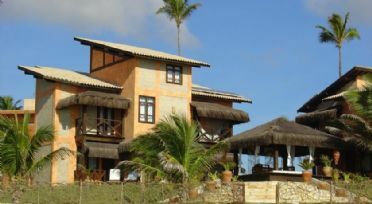 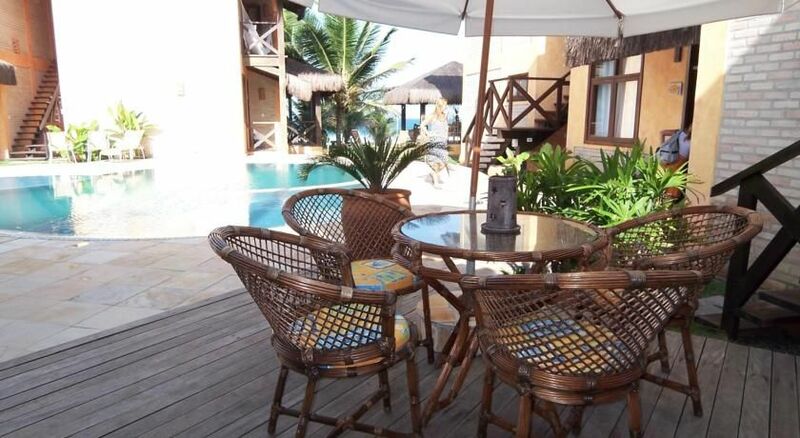 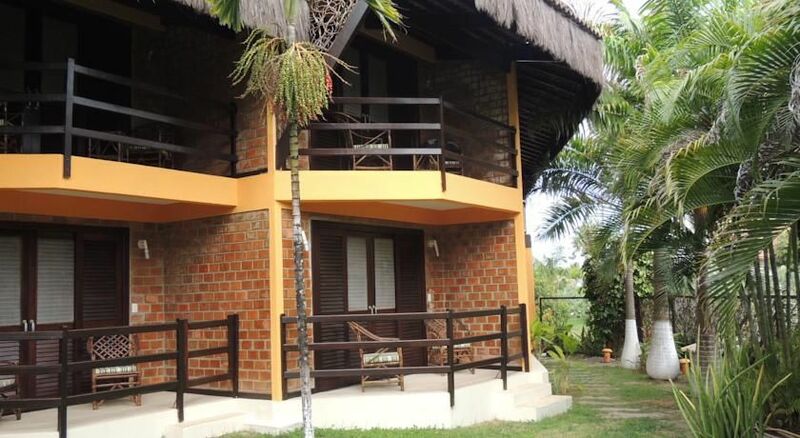 Located beachfront to Porto de Galinhas beach, this guest house offers rooms with private balconies with sea views. It features a swimming pool with sea views and free WiFi throughout the property. 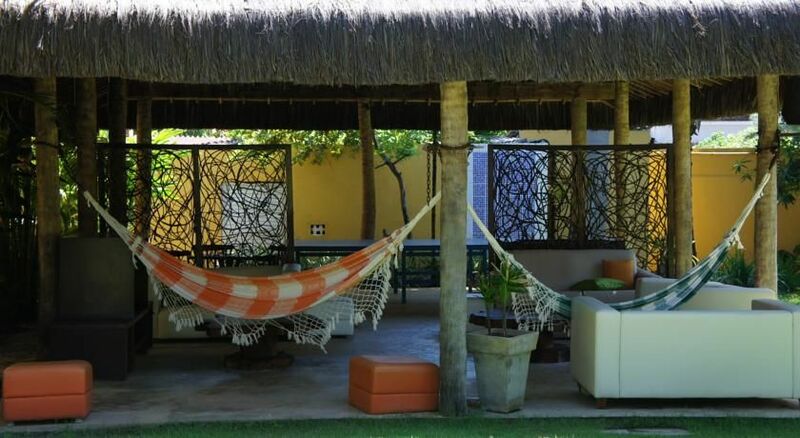 The colourful rooms at Pousada Ecoporto have balconies that include hammocks. 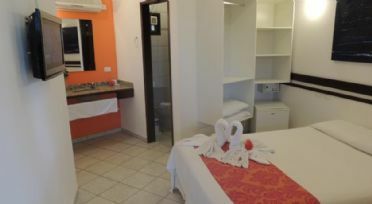 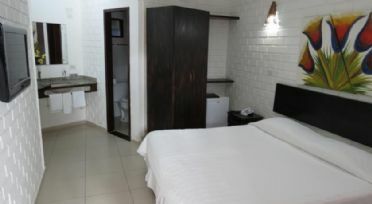 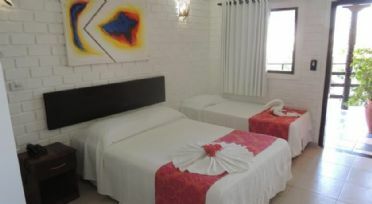 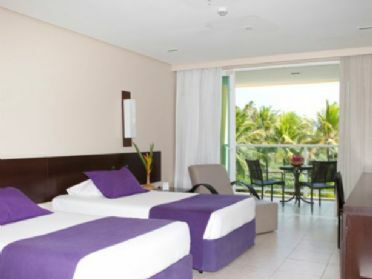 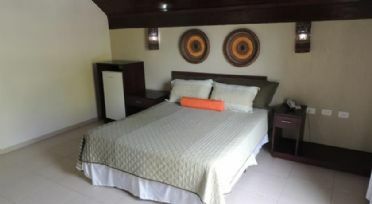 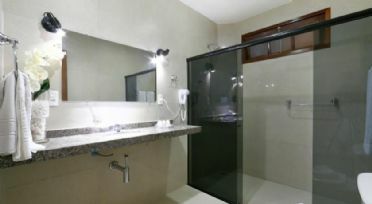 Rooms are air-conditioned and equipped with a flat-screen TV with 12 cable channels, a minibar and a safety deposit box. 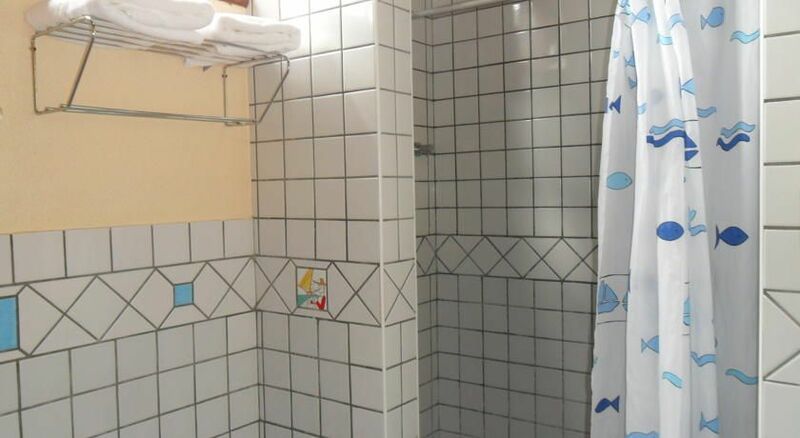 Private bathrooms come with a hairdryer. 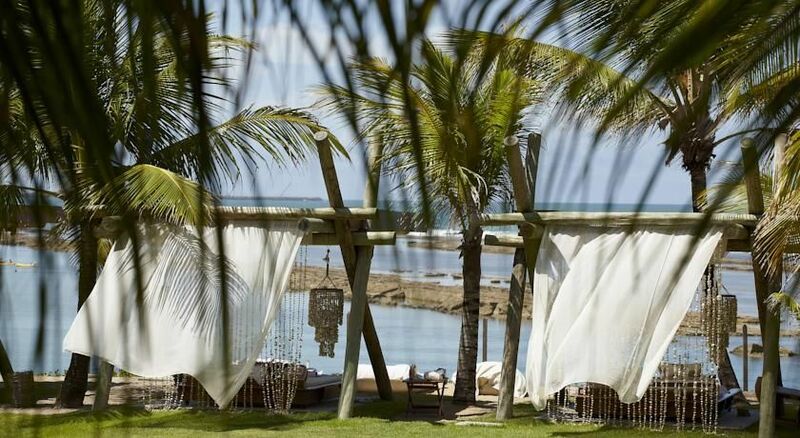 Pousada Ecoporto also features a reading room at the edge of the beach, and a la carte restaurant. 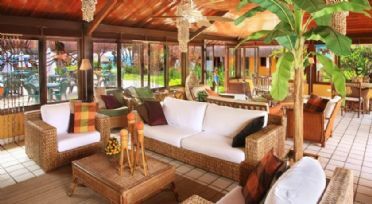 Guests at Pousada Ecoporto can benefit from a daily breakfast buffet with seasonal fruits, tapioca dish, juices and cakes. 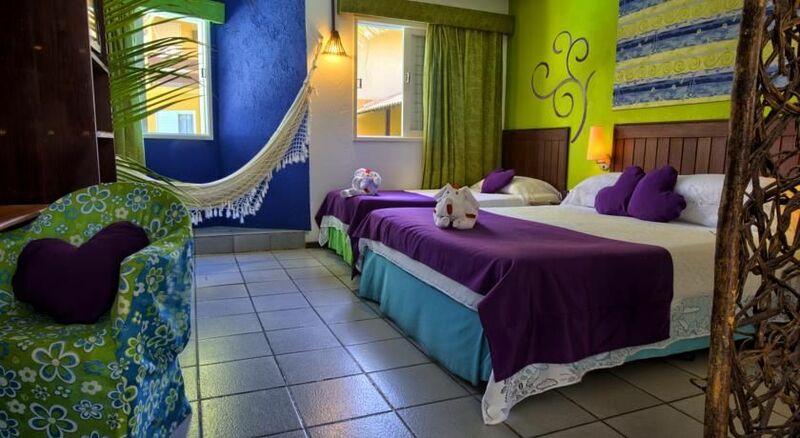 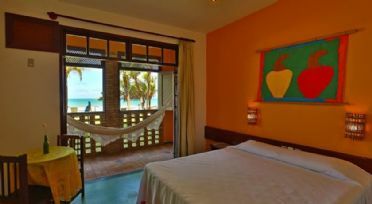 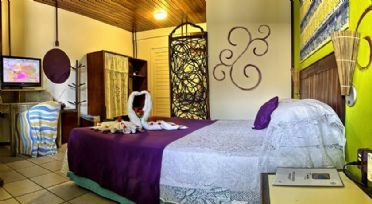 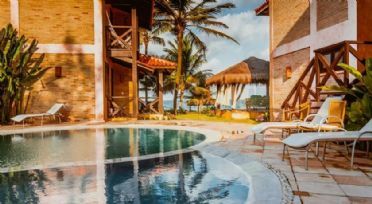 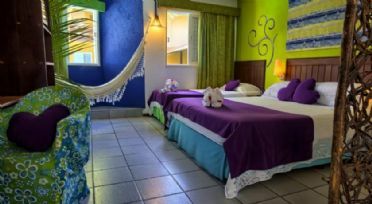 The Nannai Resort & Spa is located on the white sands of Muro Alto Beach; featuring a balcony with garden views, the air-conditioned rooms at Nannai Resort & Spa provide cable TV, a DVD player, MP3 dock station and telephone. 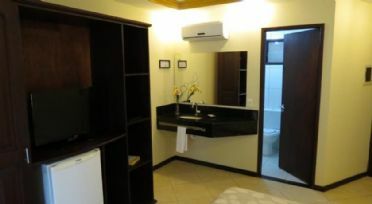 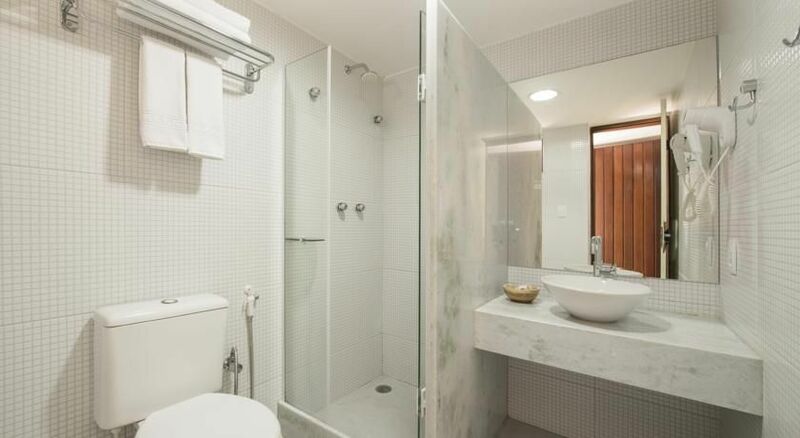 A minibar, laptop safe and private bathroom with a hot shower are included. 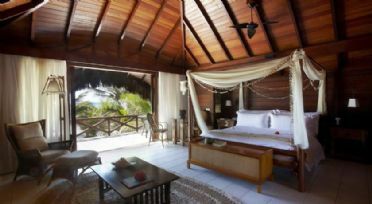 Chalets also have a private pool, garden or sea views, coffee machine, seating area and bathtub. 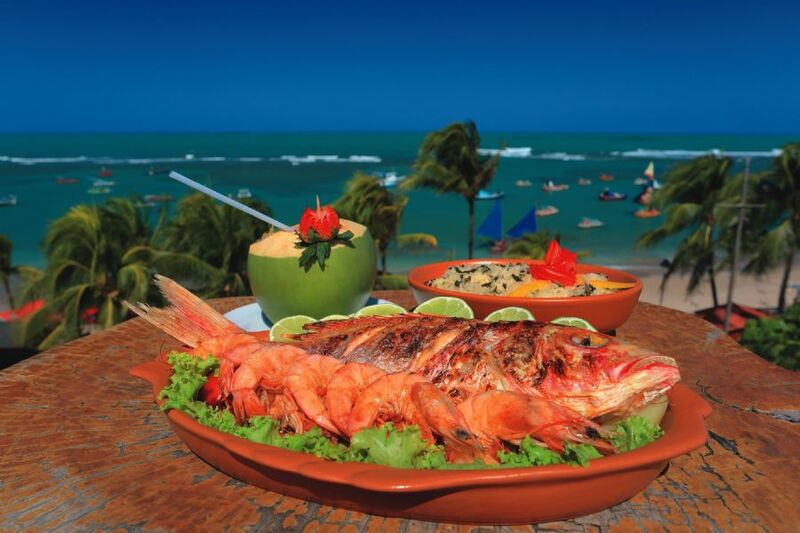 Dinner is always included in the package price.